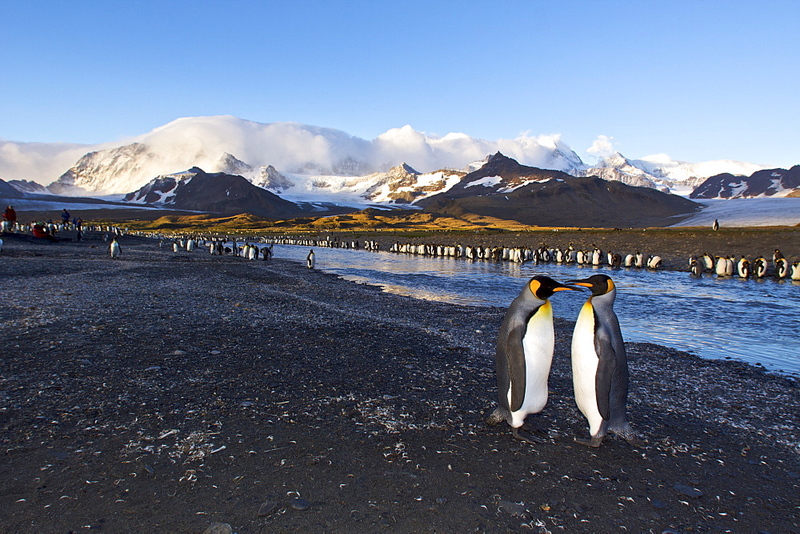 High Quality Stock Photos of "king-penguins"
979-3832 - King Penguin (Aptenodytes patagonicus) breeding and nesting colonies on South Georgia Island, Southern Ocean. 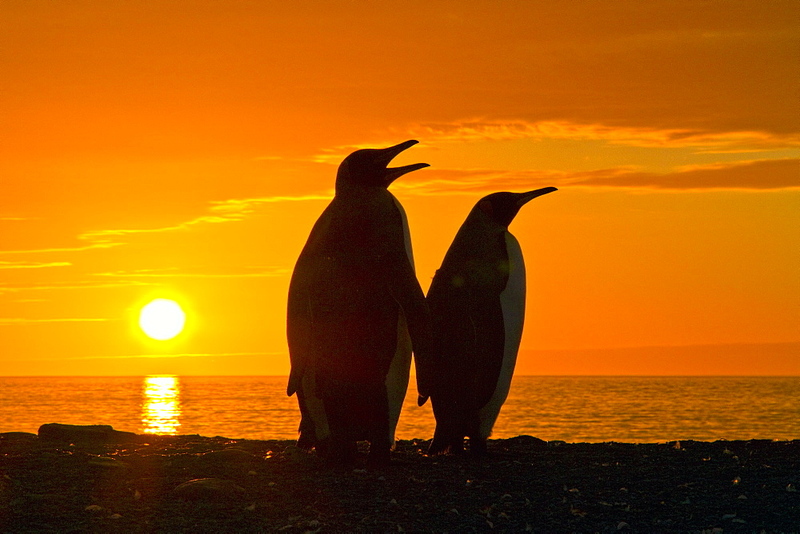 979-9233 - King penguins (Aptenodytes patagonicus) at sunrise on South Georgia Island, Southern Ocean. 979-4241 - King Penguin (Aptenodytes patagonicus) breeding and nesting colonies on South Georgia Island, Southern Ocean. 979-4206 - King Penguin (Aptenodytes patagonicus) breeding and nesting colonies on South Georgia Island, Southern Ocean. 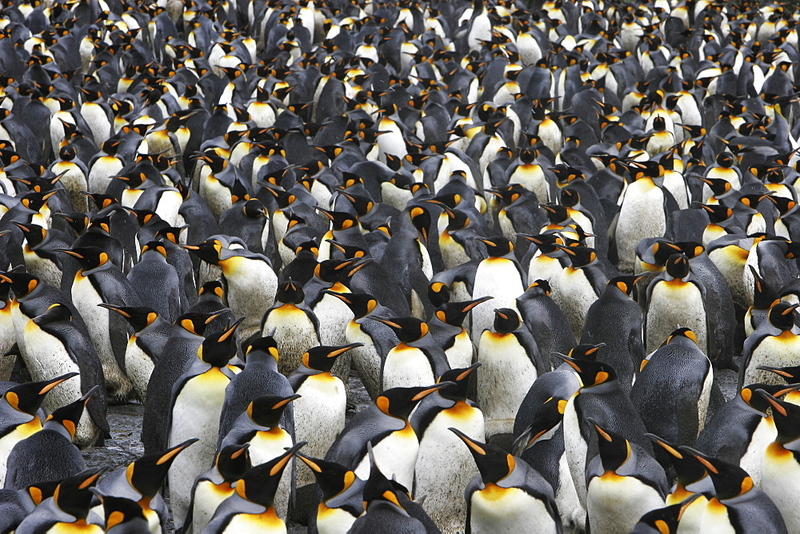 979-1456 - King penguin (Aptenodytes patagonicus) colony of nesting animals numbering between 70,000 and 100,000 nesting pairs on Salisbury Plain on South Georgia Island, South Atlantic Ocean. 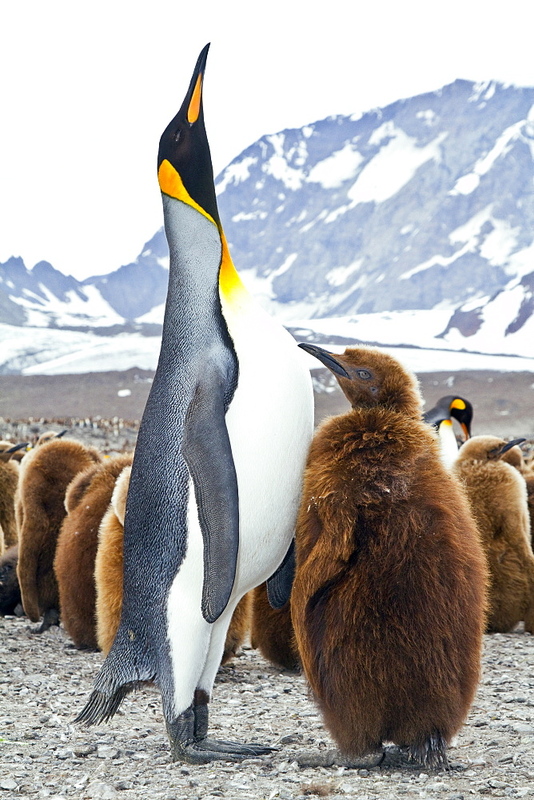 979-4242 - King Penguin (Aptenodytes patagonicus) breeding and nesting colonies on South Georgia Island, Southern Ocean. 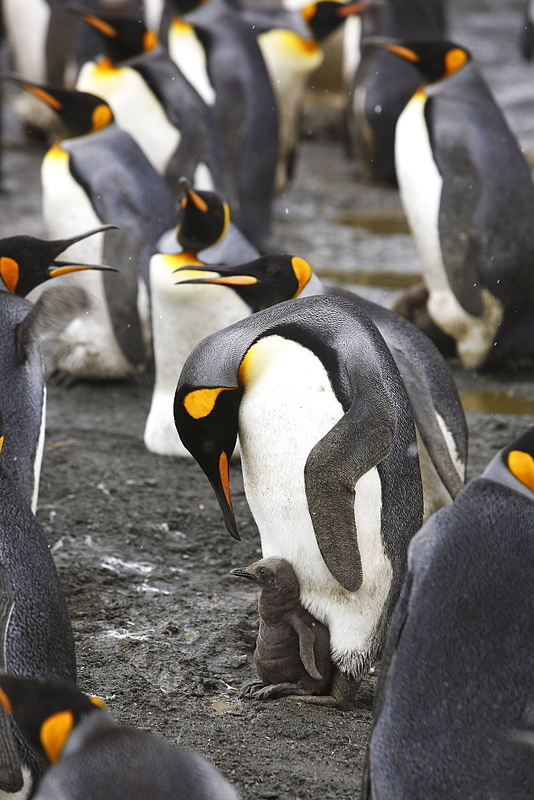 979-4225 - King Penguin (Aptenodytes patagonicus) breeding and nesting colonies on South Georgia Island, Southern Ocean. 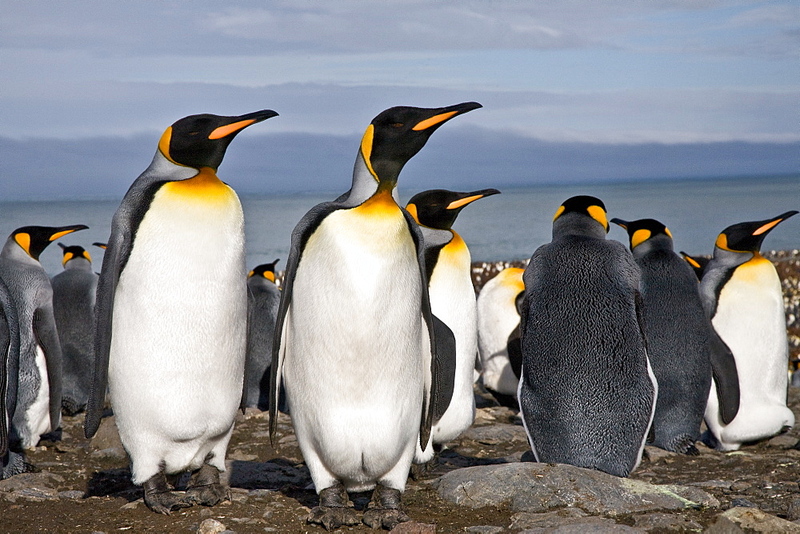 979-3872 - King Penguin (Aptenodytes patagonicus) breeding and nesting colonies on South Georgia Island, Southern Ocean. 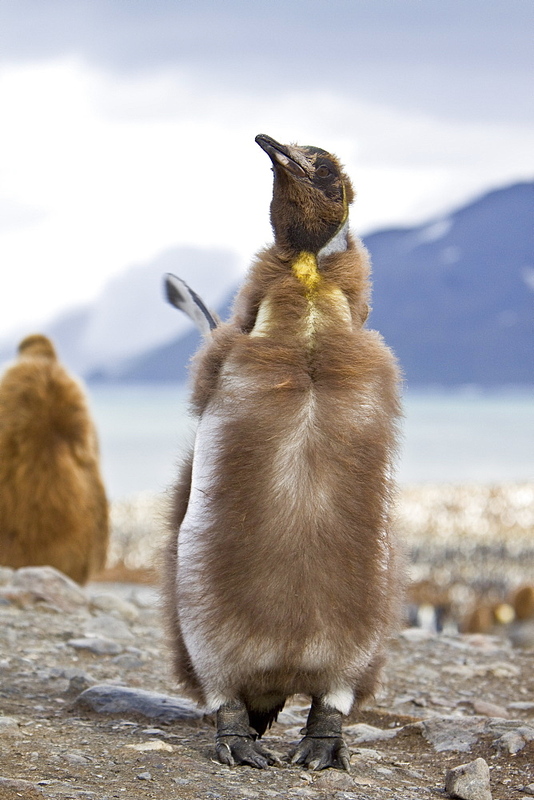 979-1474 - A very rare sighting of a lone adult king penguin (Aptenodytes patagonicus) among breeding and nesting colonies of both gentoo and chinstrap penguins on Barrentos Island in the Aitcho Island Group, South Shetland Islands, Antarctica. 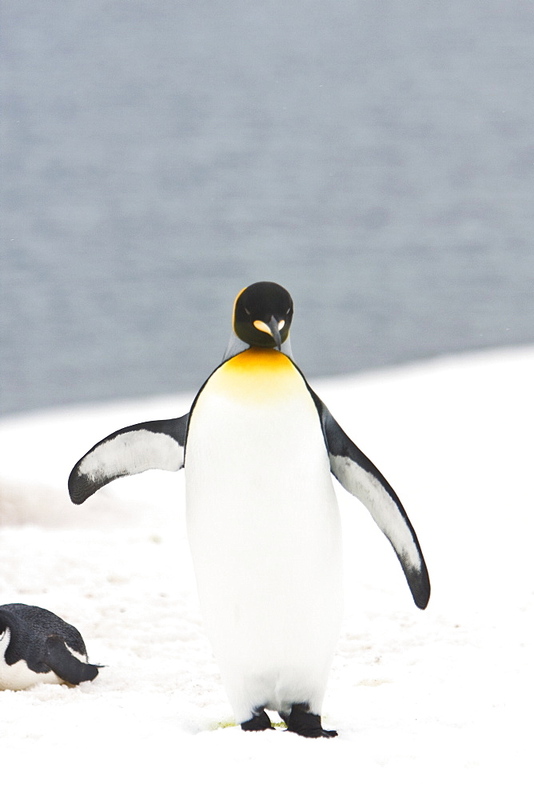 King penguins are rarely found below 60 degrees south, and almost never on the Antarctic Peninsula. This lone adult is most likely from the island of South Georgia, almost 900 miles away from where it is now. It most likely was out foraging and stopped here on Barrentos to rest. 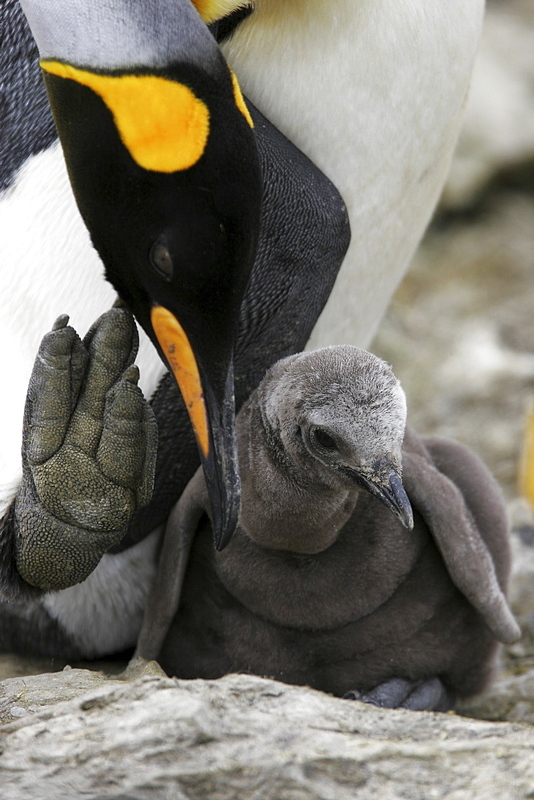 979-1433 - King Penguin (Aptenodytes patagonicus) parent feeding/guarding chick on the beach on South Georgia Island, southern Atlantic Ocean. 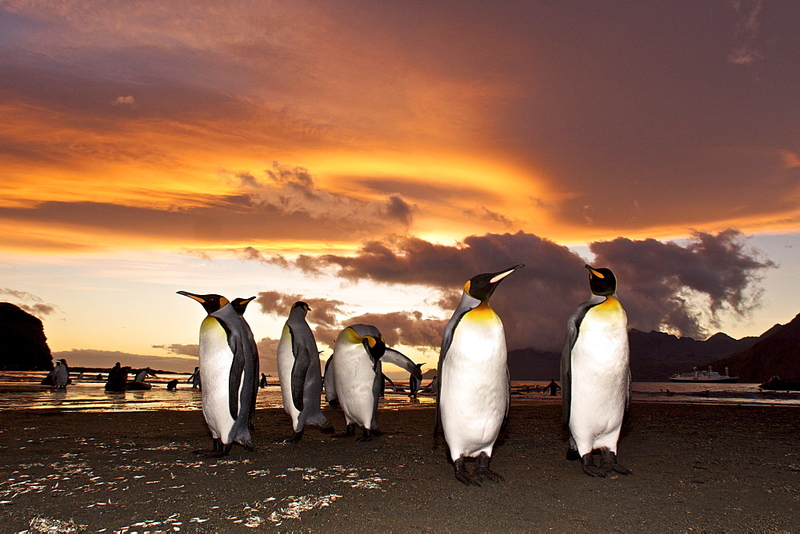 979-9217 - King penguins (Aptenodytes patagonicus) at sunrise on South Georgia Island, Southern Ocean. 979-3867 - Sunrise on the king penguin (Aptenodytes patagonicus) breeding and nesting colonies at St. Andrews Bay on South Georgia Island, Southern Ocean. 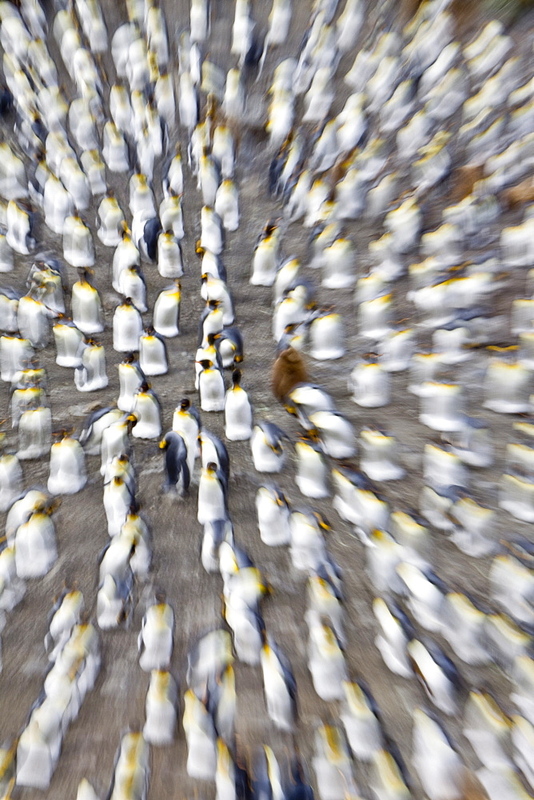 979-4246 - Zoom blur of king penguin (Aptenodytes patagonicus) breeding and nesting colonies on South Georgia Island, Southern Ocean. 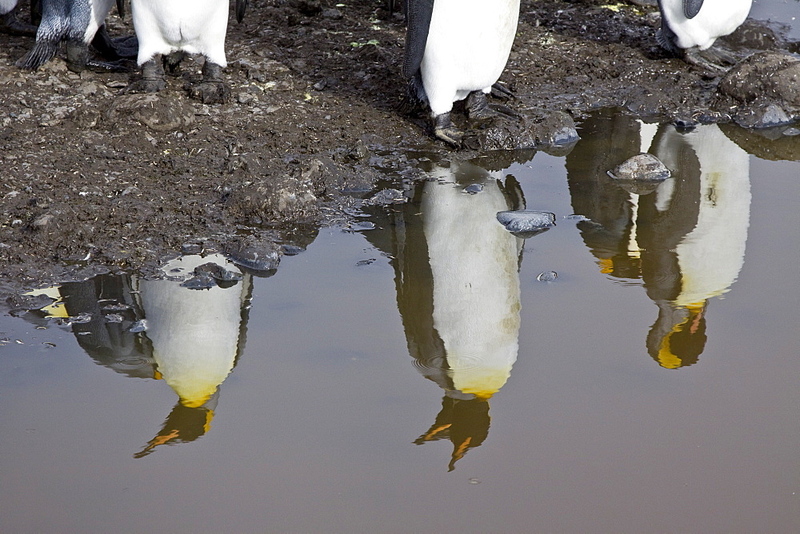 979-3898 - Reflected sunlight on king penguin (Aptenodytes patagonicus) breeding and nesting colonies on South Georgia Island, Southern Ocean. 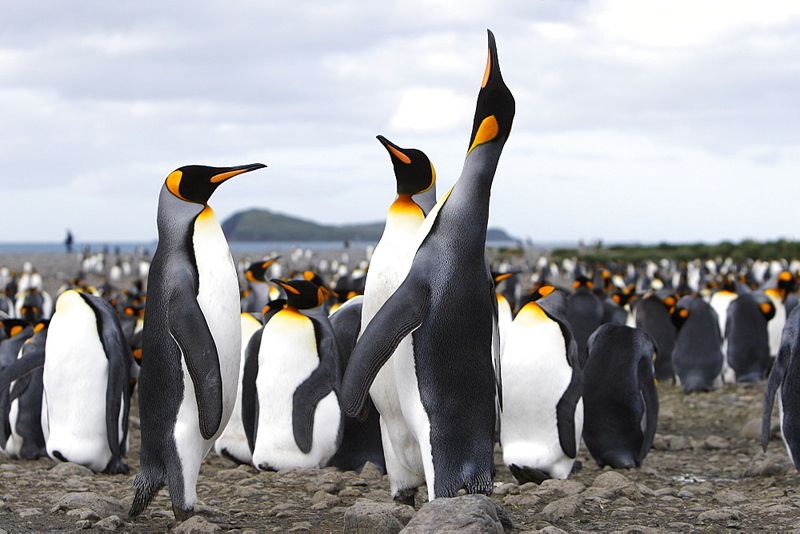 979-3852 - King Penguin (Aptenodytes patagonicus) breeding and nesting colonies on South Georgia Island, Southern Ocean. 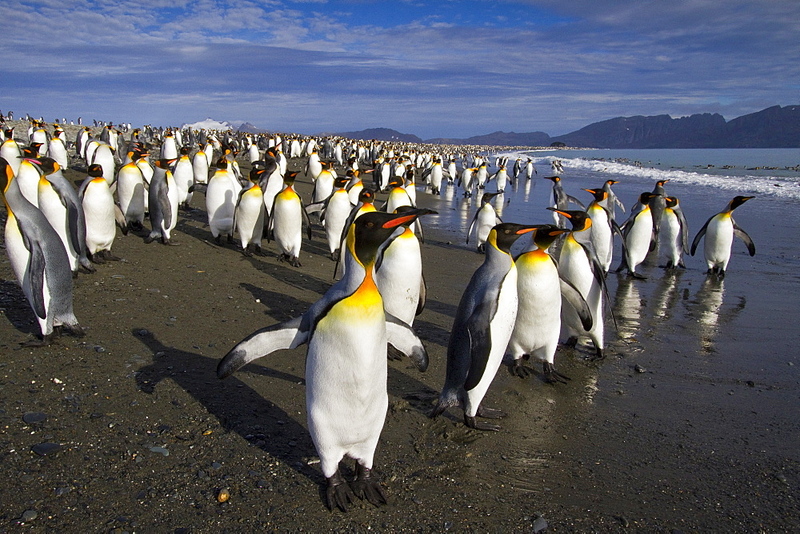 979-3901 - King Penguin (Aptenodytes patagonicus) breeding and nesting colonies on South Georgia Island, Southern Ocean. 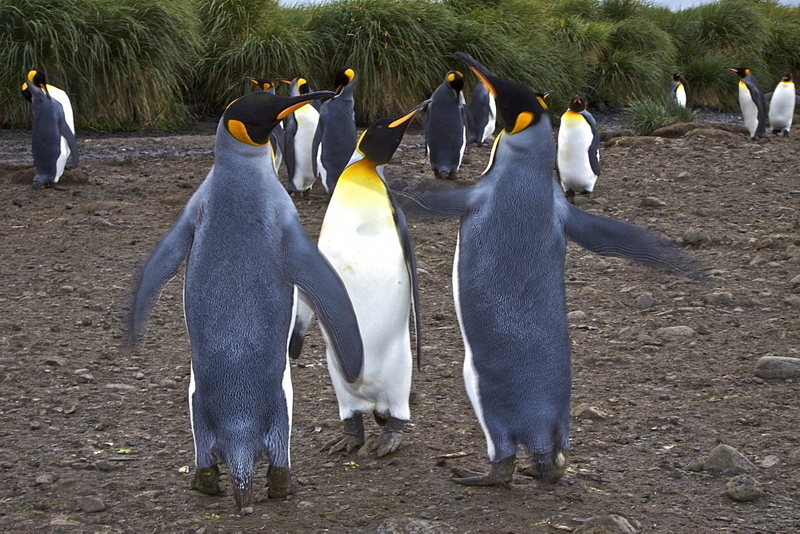 979-4237 - King Penguin (Aptenodytes patagonicus) breeding and nesting colonies on South Georgia Island, Southern Ocean. 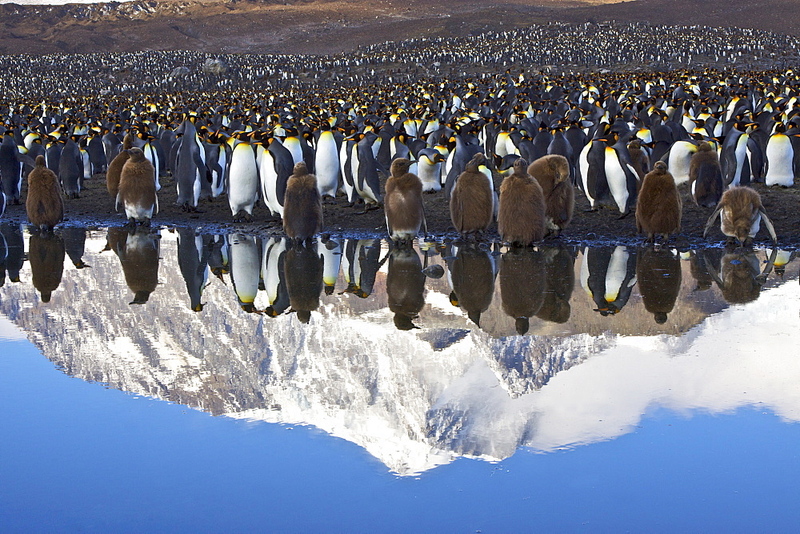 979-3886 - Reflected sunlight on king penguin (Aptenodytes patagonicus) breeding and nesting colonies on South Georgia Island, Southern Ocean. 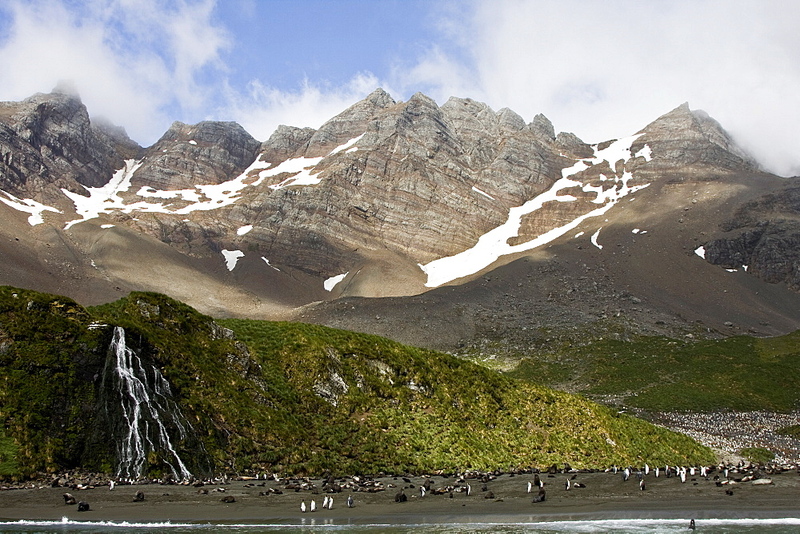 979-4234 - King Penguin (Aptenodytes patagonicus) breeding and nesting colonies on South Georgia Island, Southern Ocean. 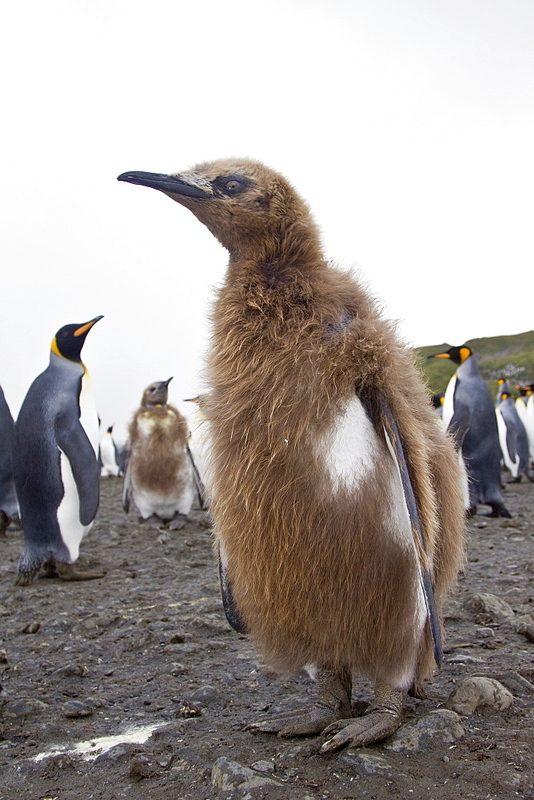 979-1442 - King penguin (Aptenodytes patagonicus) chick with parent on South Georgia Island, southern Atlantic Ocean. 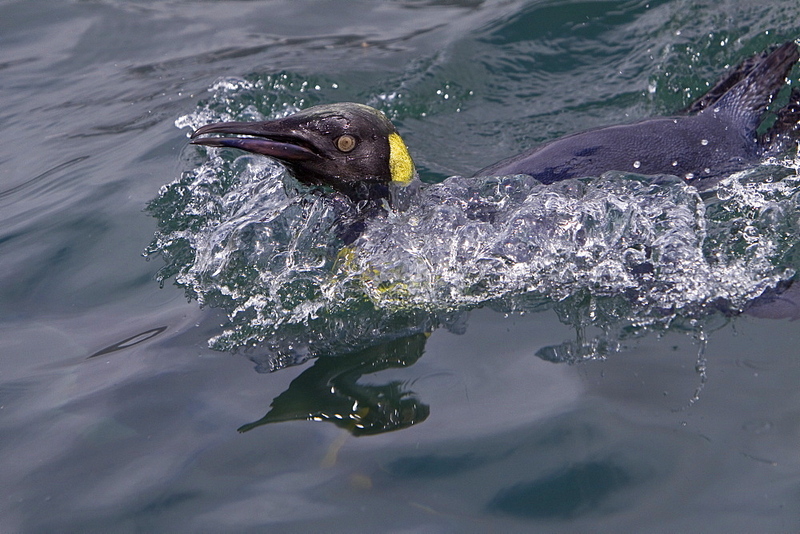 979-9218 - Adult king penguin (Aptenodytes patagonicus) in the act of feeding chick on South Georgia Island, Southern Ocean. 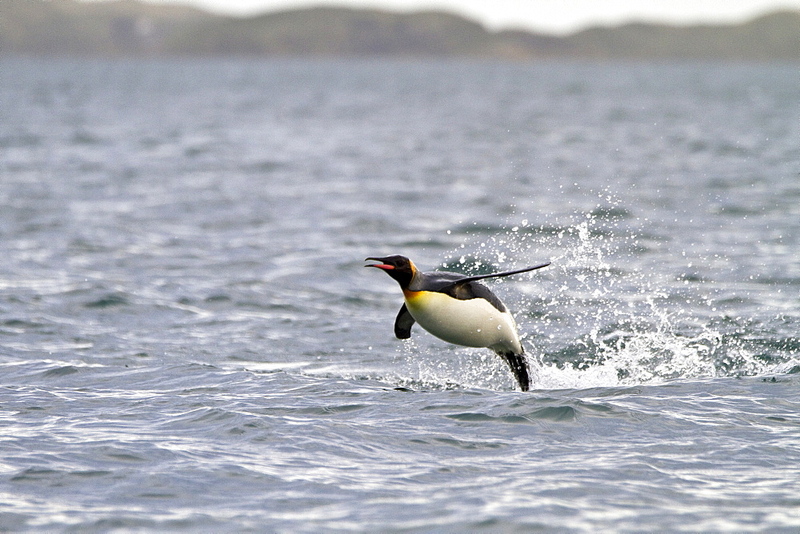 979-4212 - King Penguin (Aptenodytes patagonicus) breeding and nesting colonies on South Georgia Island, Southern Ocean. 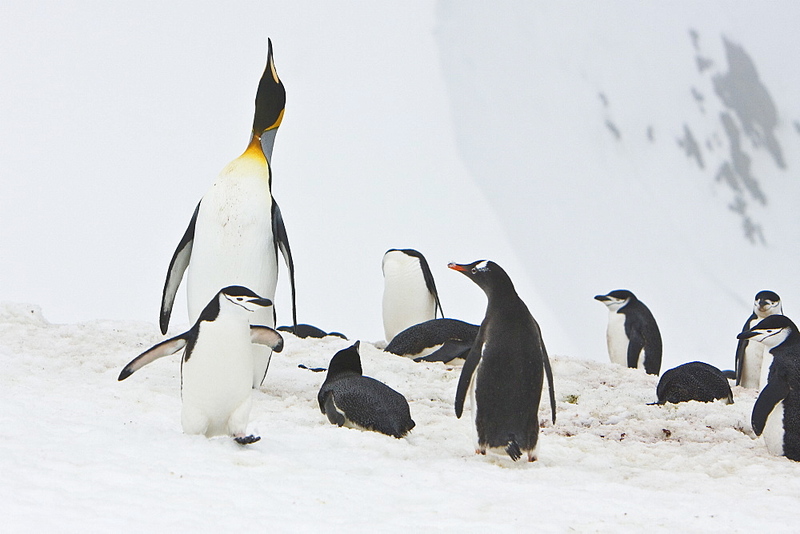 979-4248 - A very rare sighting of a lone adult king penguin (Aptenodytes patagonicus) among breeding and nesting colonies of both gentoo and chinstrap penguins on Barrentos Island in the Aitcho Island Group, South Shetland Islands, Antarctica. 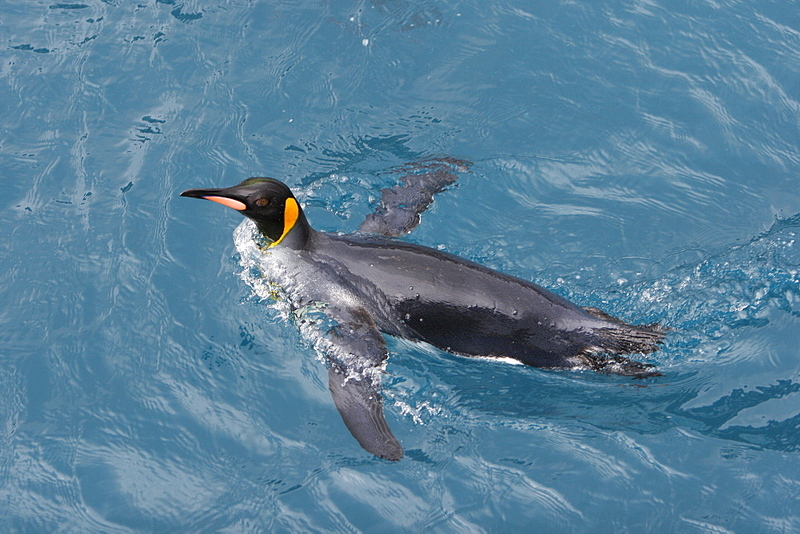 979-1430 - King Penguins (Aptenodytes patagonicus) swimming at surface on South Georgia Island, southern Atlantic Ocean. 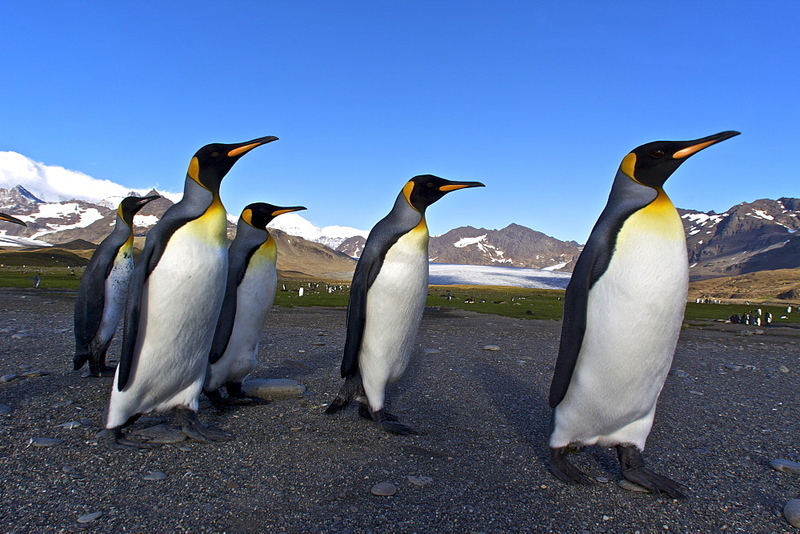 979-9222 - King penguin (Aptenodytes patagonicus) breeding and nesting colony on South Georgia Island, Southern Ocean. 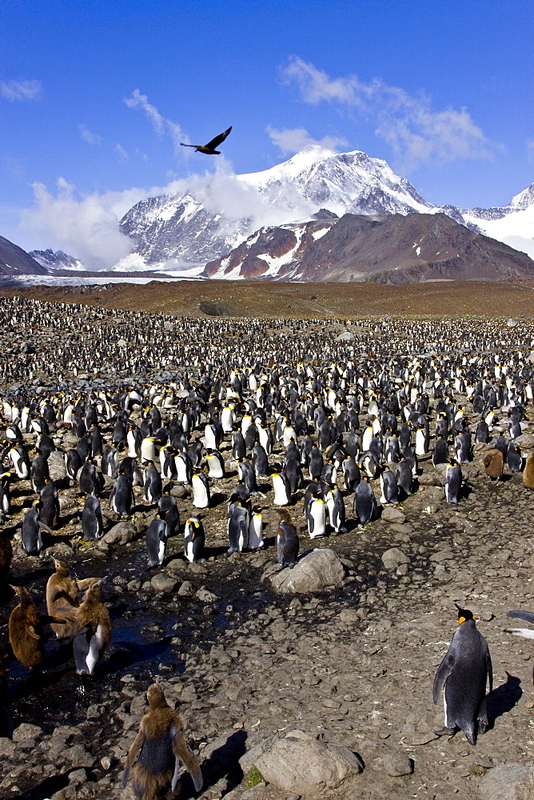 979-3874 - King Penguin (Aptenodytes patagonicus) breeding and nesting colonies on South Georgia Island, Southern Ocean. 979-4215 - King Penguin (Aptenodytes patagonicus) breeding and nesting colonies on South Georgia Island, Southern Ocean. 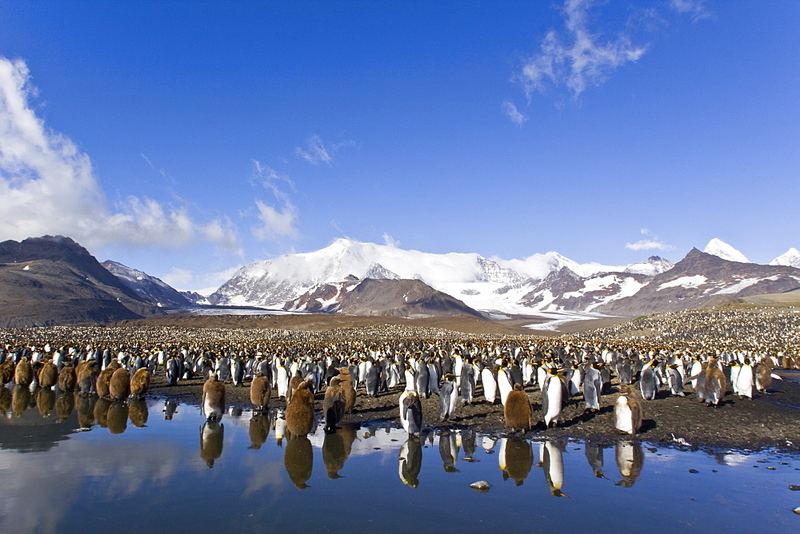 979-3844 - King Penguin (Aptenodytes patagonicus) breeding and nesting colonies on South Georgia Island, Southern Ocean. 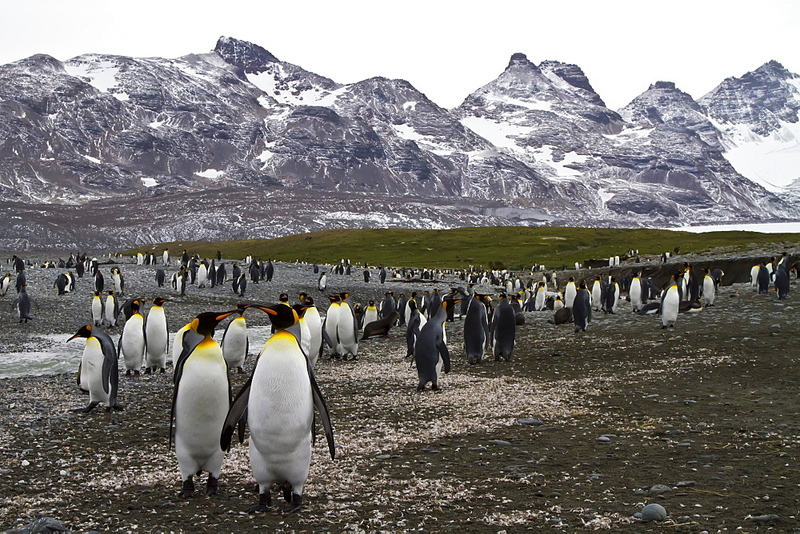 979-3846 - King Penguin (Aptenodytes patagonicus) breeding and nesting colonies on South Georgia Island, Southern Ocean. 979-3868 - Sunrise on the king penguin (Aptenodytes patagonicus) breeding and nesting colonies at St. Andrews Bay on South Georgia Island, Southern Ocean. 979-9100 - King penguin (Aptenodytes patagonicus) breeding and nesting colony Fortuna Bay on South Georgia Island, Southern Ocean. 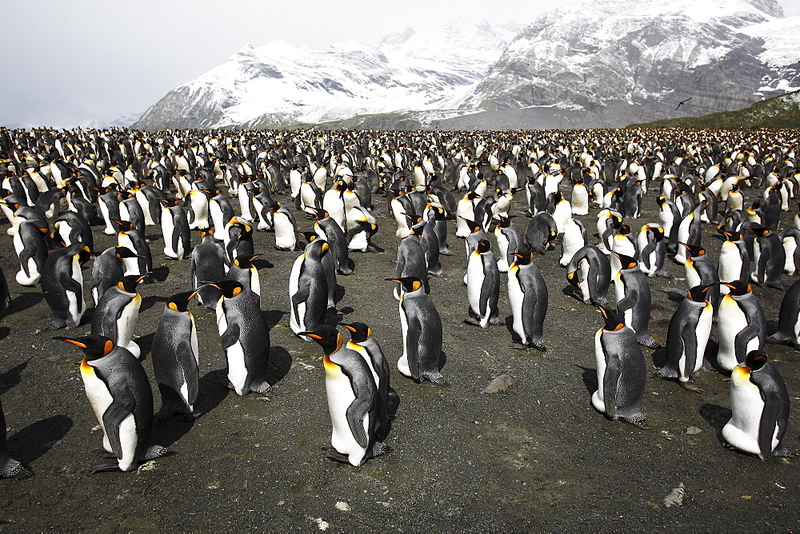 979-3848 - King Penguin (Aptenodytes patagonicus) breeding and nesting colonies on South Georgia Island, Southern Ocean. 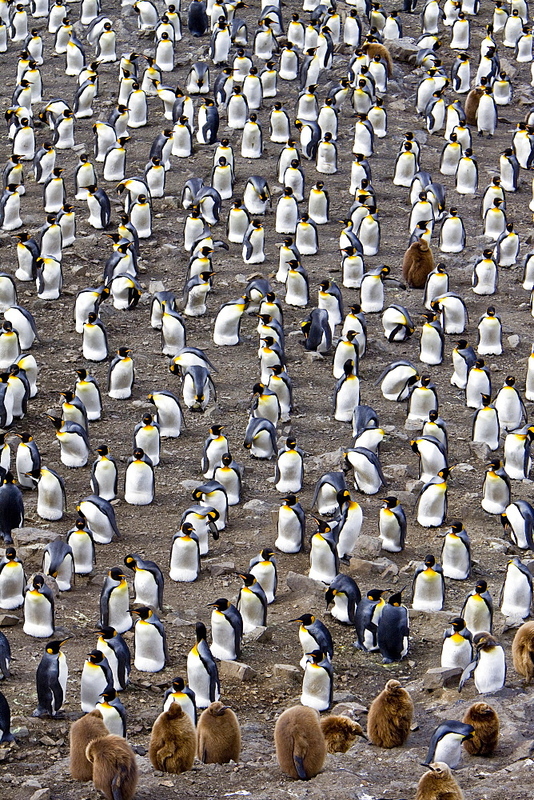 979-4208 - King Penguin (Aptenodytes patagonicus) breeding and nesting colonies on South Georgia Island, Southern Ocean. 979-4217 - King Penguin (Aptenodytes patagonicus) breeding and nesting colonies on South Georgia Island, Southern Ocean. 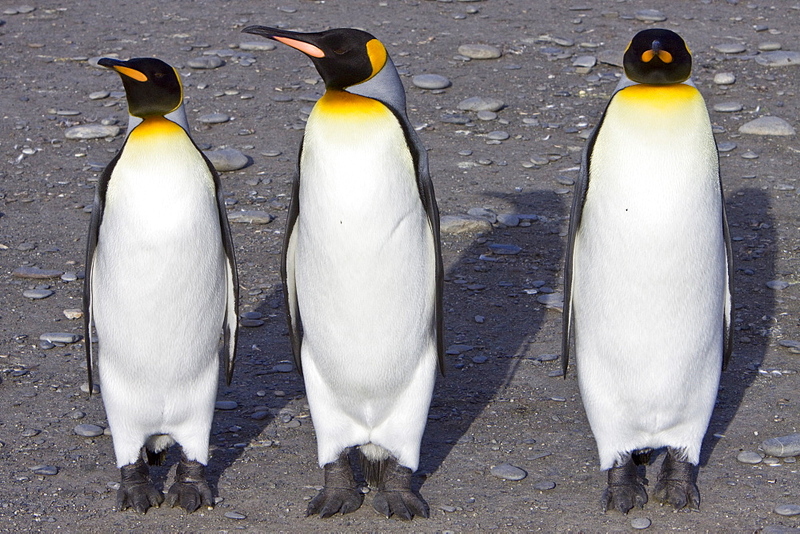 979-1436 - King penguins (Aptenodytes patagonicus) literally by the tens of thousands on South Georgia Island, southern Atlantic Ocean. 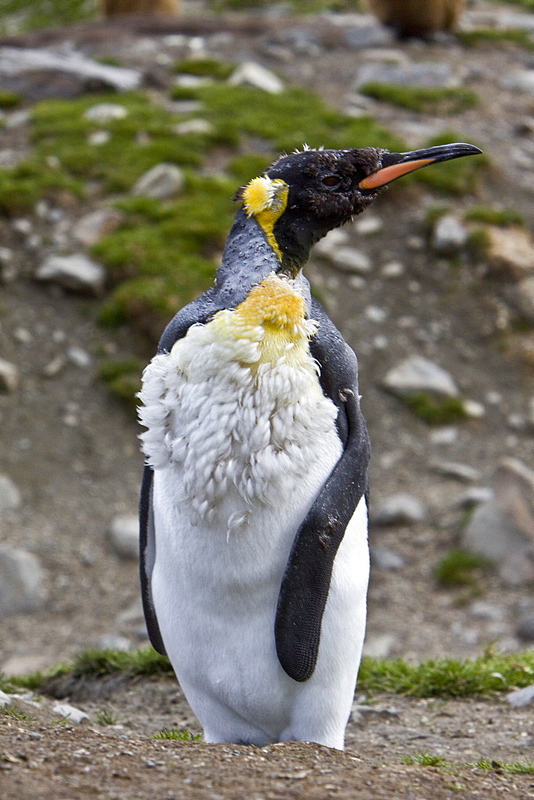 979-1480 - A very rare sighting of a lone adult king penguin (Aptenodytes patagonicus) among breeding and nesting colonies of both gentoo and chinstrap penguins on Barrentos Island in the Aitcho Island Group, South Shetland Islands, Antarctica. 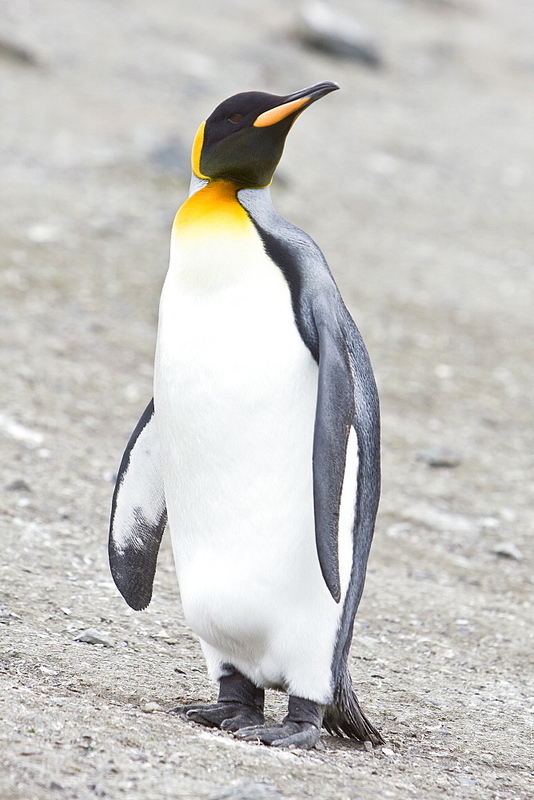 King penguins are rarely found below 60 degrees south, and almost never on the Antarctic Peninsula. This lone adult is most likely from the island of South Georgia, almost 900 miles away from where it is now. It most likely was out foraging and stopped here on Barrentos to rest. 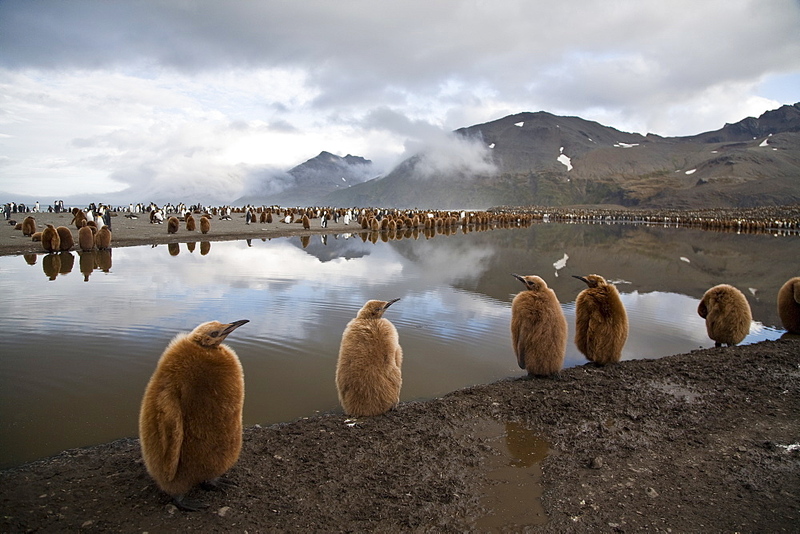 979-3888 - Reflected sunlight on king penguin (Aptenodytes patagonicus) breeding and nesting colonies on South Georgia Island, Southern Ocean. 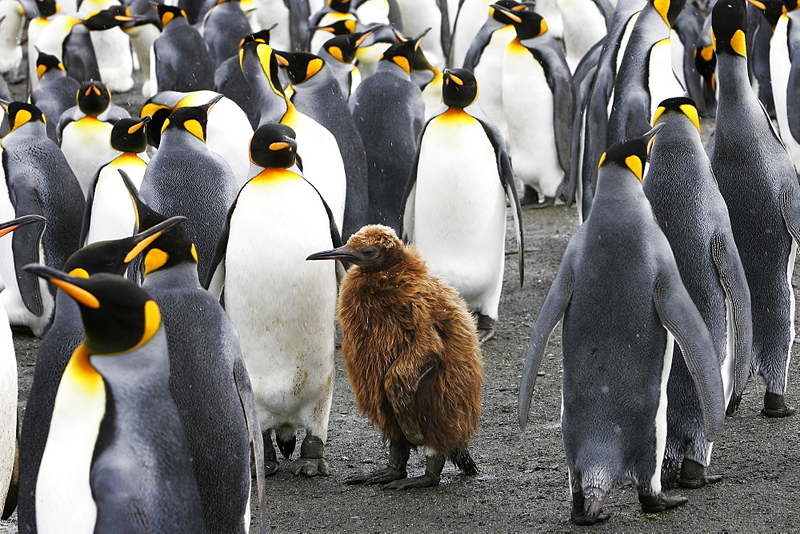 979-1468 - A very rare sighting of a lone adult king penguin (Aptenodytes patagonicus) among breeding and nesting colonies of both gentoo and chinstrap penguins on Barrentos Island in the Aitcho Island Group, South Shetland Islands, Antarctica. 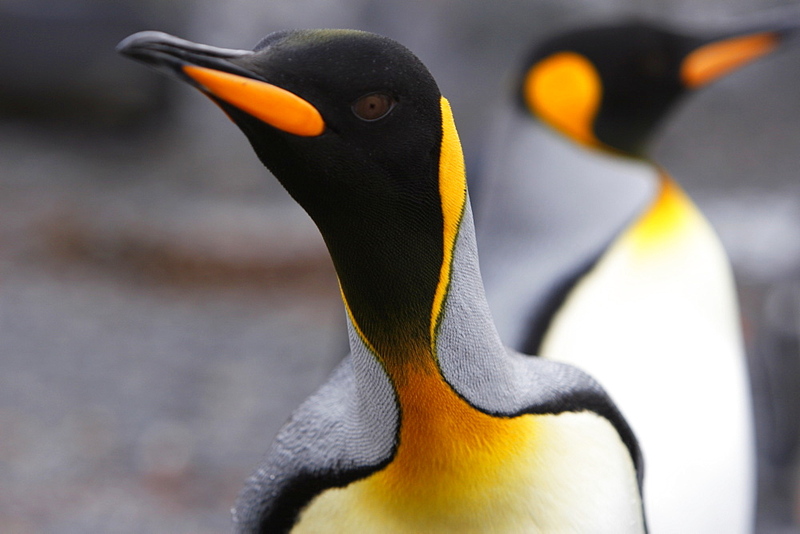 King penguins are rarely found below 60 degrees south, and almost never on the Antarctic Peninsula. This lone adult is most likely from the island of South Georgia, almost 900 miles away from where it is now. It most likely was out foraging and stopped here on Barrentos to rest. 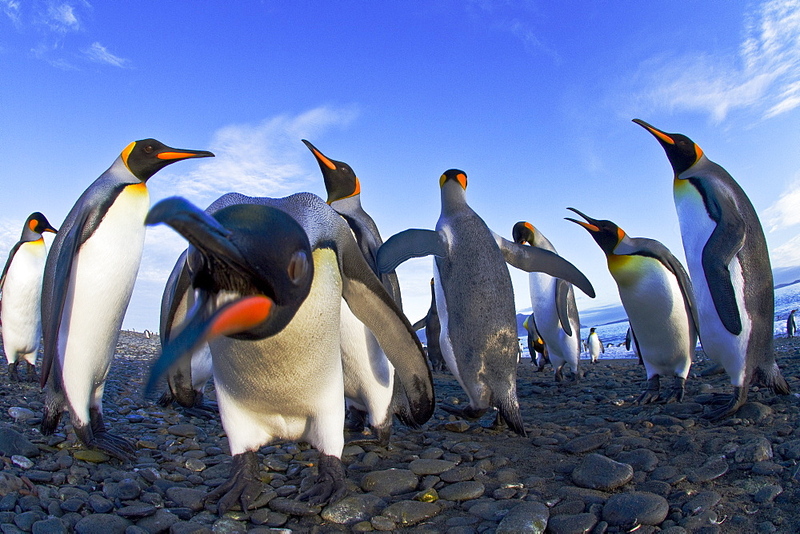 979-9223 - King penguin (Aptenodytes patagonicus) breeding and nesting colony on South Georgia Island, Southern Ocean. 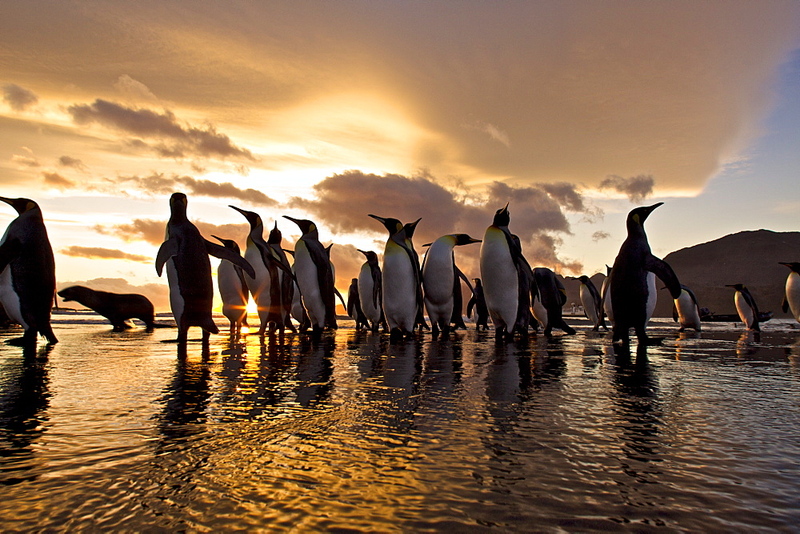 979-3869 - Sunrise on the king penguin (Aptenodytes patagonicus) breeding and nesting colonies at St. Andrews Bay on South Georgia Island, Southern Ocean. 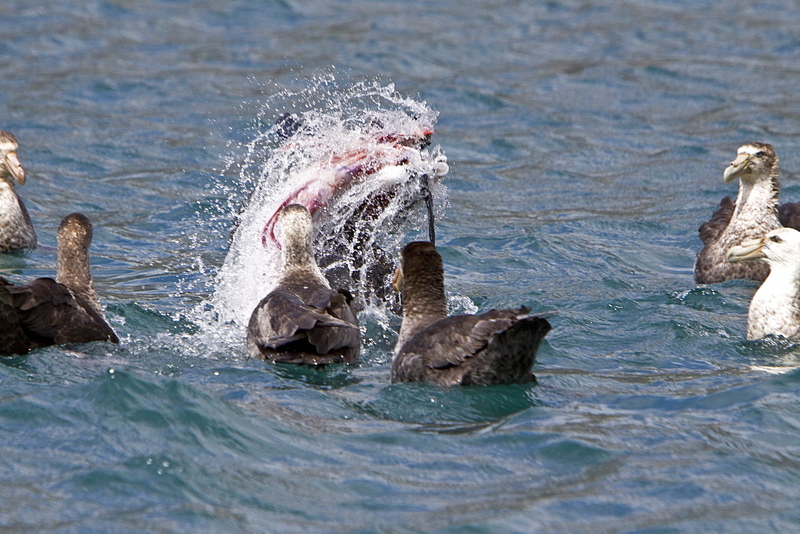 979-4176 - Adult Antarctic Fur Seal (Arctocephalus gazella) killing and then eating a king penguin on the island of South Georgia, southern Atlantic Ocean. 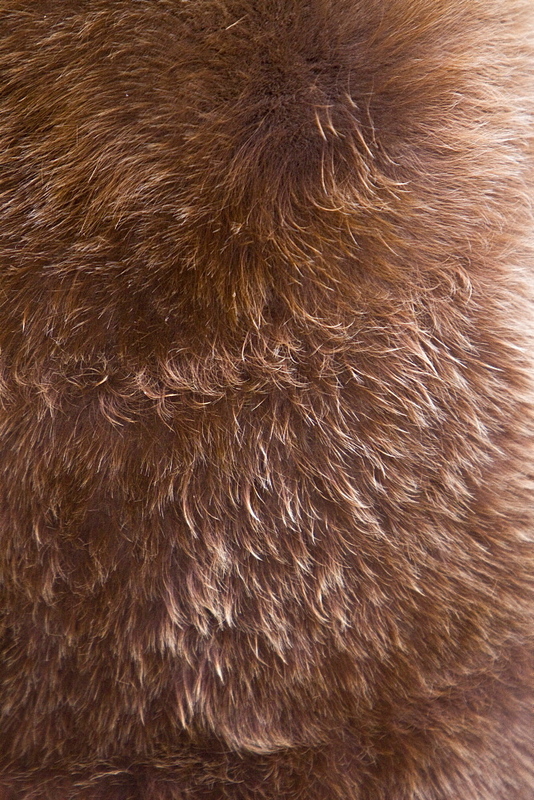 As its name suggests, the Antarctic Fur Seal is distributed in Antarctic waters. 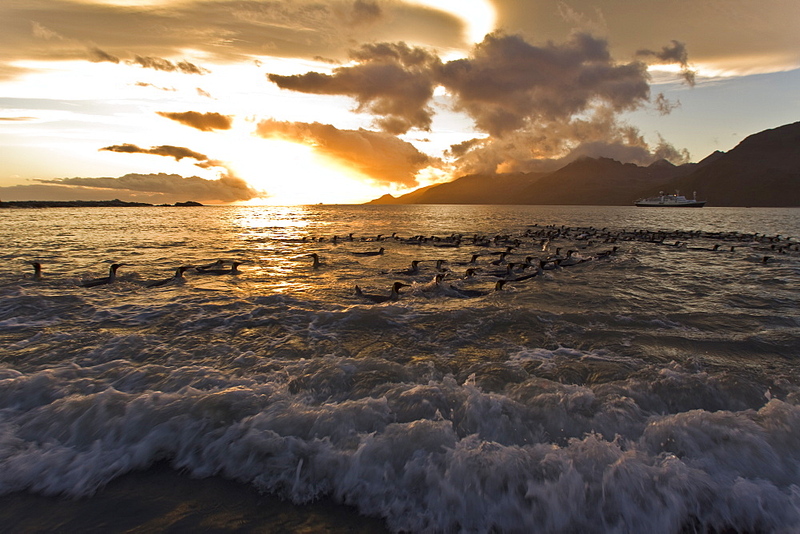 Around 95% of the world population breeds at the Island of South Georgia. Males are substantially larger than females. Antarctic fur seals grow 2 m (6.5 ft) long and weigh 91 kg (200 lb) to 209 kg (460 lb). 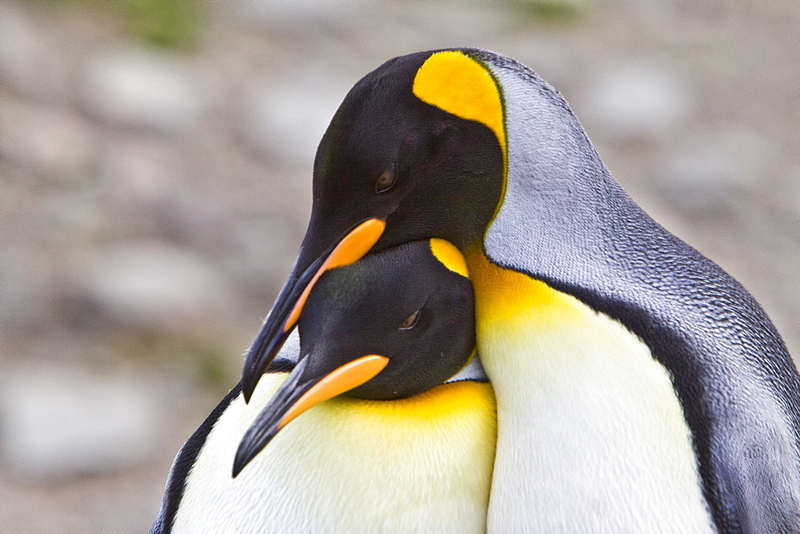 Males live for about 15 years and females up to 25. 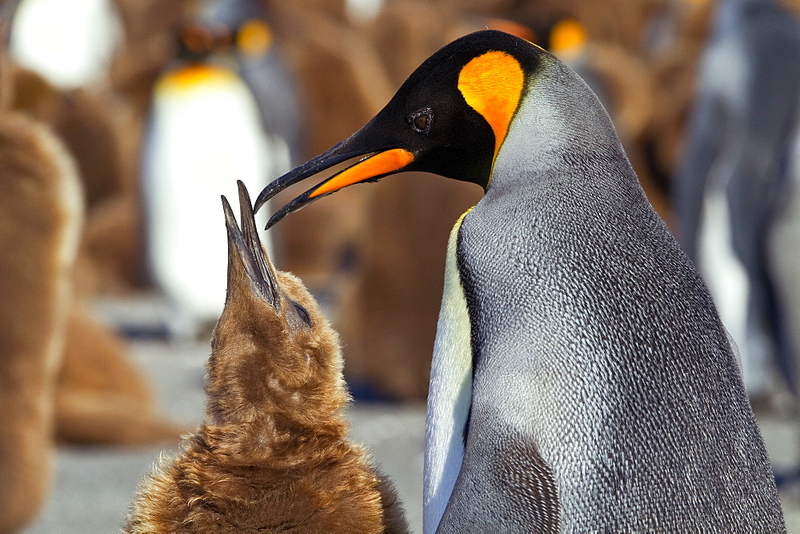 979-1425 - King Penguin (Aptenodytes patagonicus) parent with hungry chick on South Georgia Island, southern Atlantic Ocean. 979-9374 - King penguins (Aptenodytes patagonicus) on the beach at breeding and nesting colony at Salisbury Plains in the Bay of Isles, South Georgia, Southern Ocean. 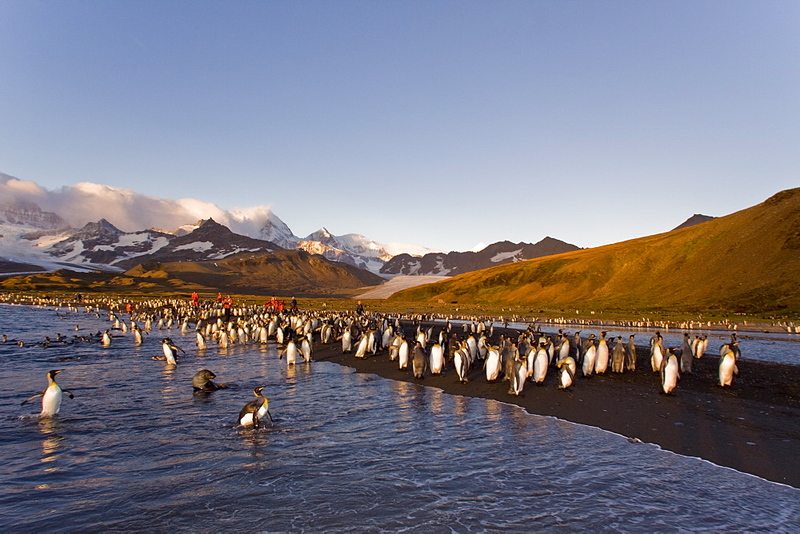 979-4220 - King Penguin (Aptenodytes patagonicus) breeding and nesting colonies on South Georgia Island, Southern Ocean. 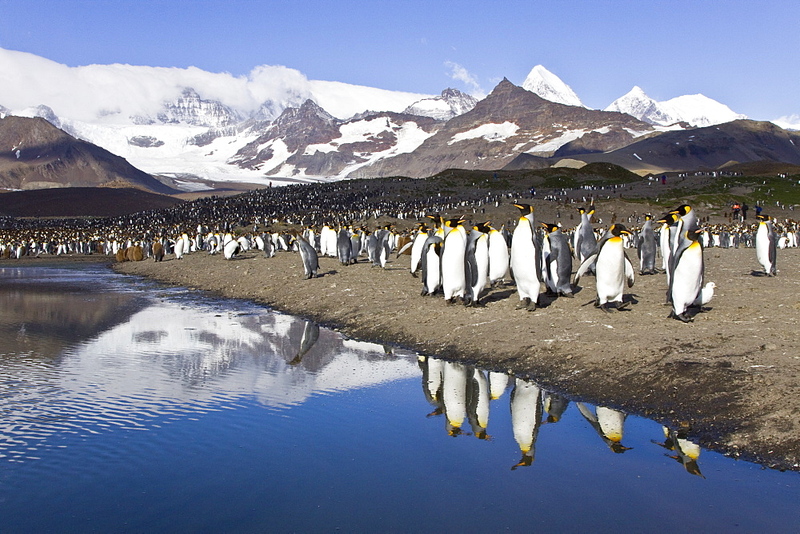 979-3899 - Reflected sunlight on king penguin (Aptenodytes patagonicus) breeding and nesting colonies on South Georgia Island, Southern Ocean. 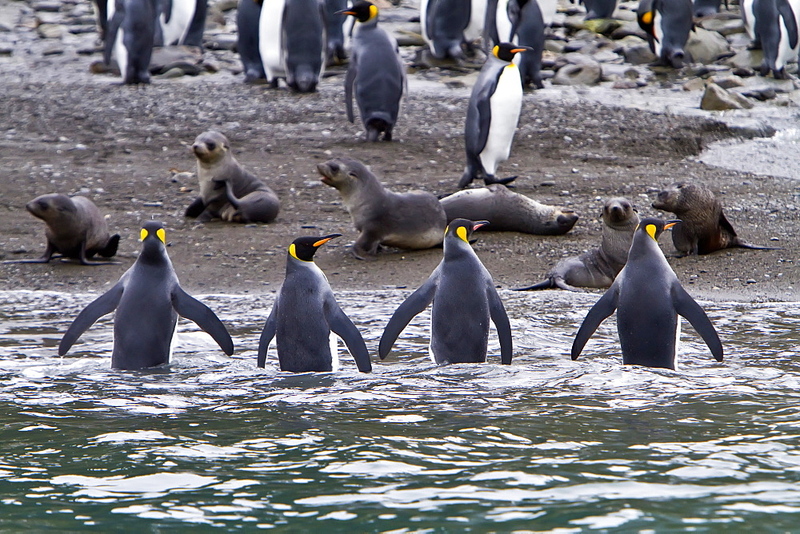 979-3849 - King Penguin (Aptenodytes patagonicus) breeding and nesting colonies on South Georgia Island, Southern Ocean. 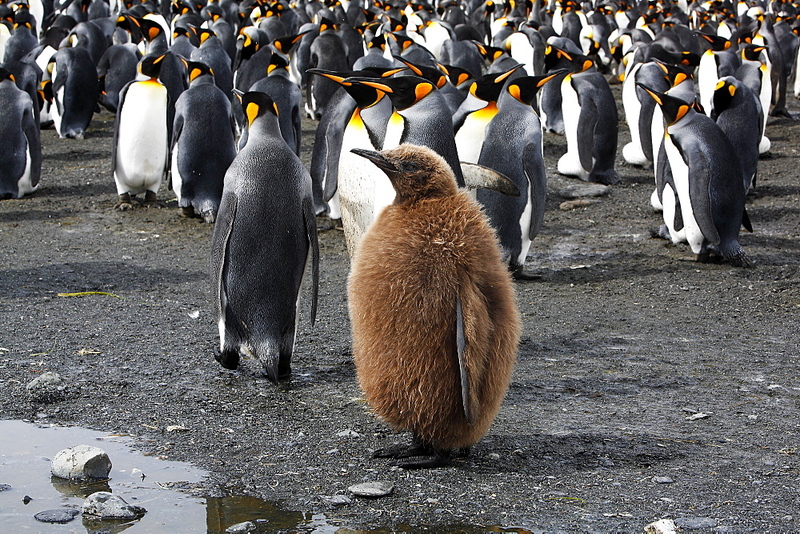 979-9224 - King penguin (Aptenodytes patagonicus) breeding and nesting colony on South Georgia Island, Southern Ocean. 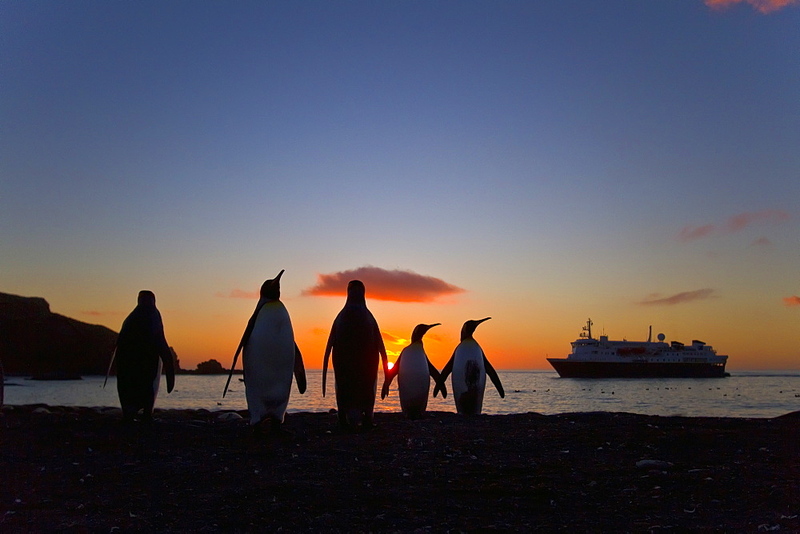 979-3870 - Sunrise on the king penguin (Aptenodytes patagonicus) breeding and nesting colonies at St. Andrews Bay on South Georgia Island, Southern Ocean. 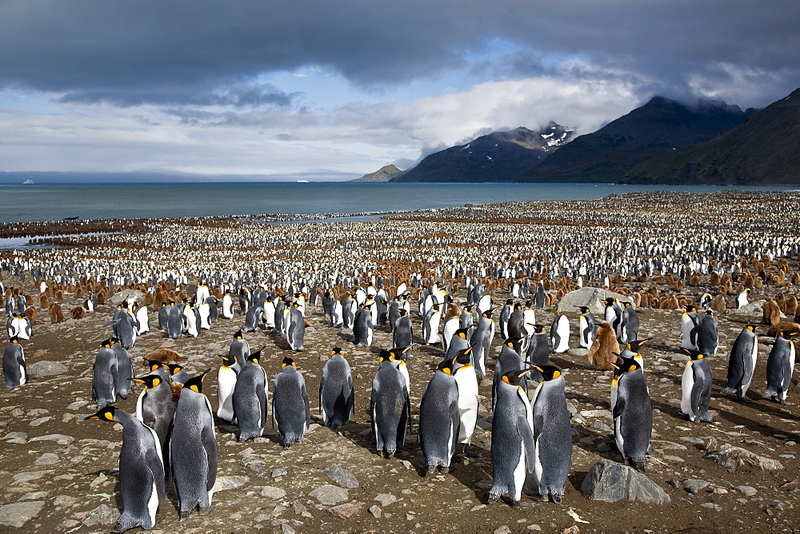 979-3835 - King Penguin (Aptenodytes patagonicus) breeding and nesting colonies on South Georgia Island, Southern Ocean. 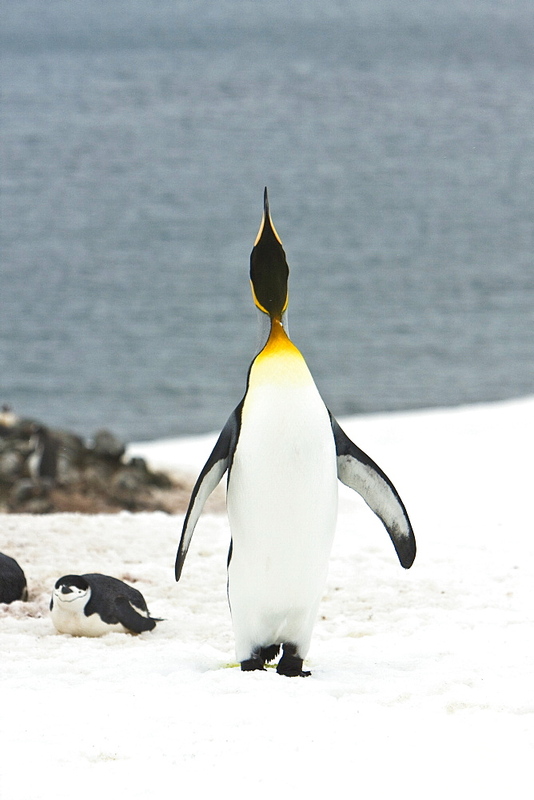 979-3892 - Reflected sunlight on king penguin (Aptenodytes patagonicus) breeding and nesting colonies on South Georgia Island, Southern Ocean. 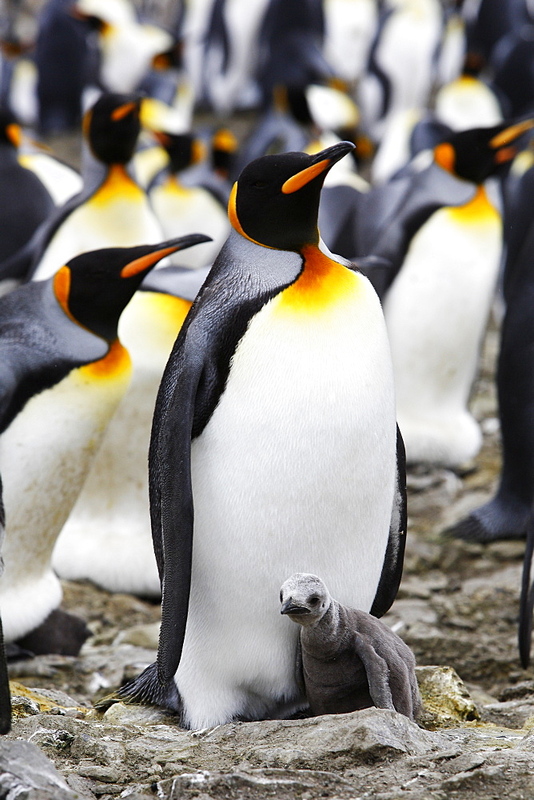 979-4201 - King Penguin (Aptenodytes patagonicus) breeding and nesting colonies on South Georgia Island, Southern Ocean. 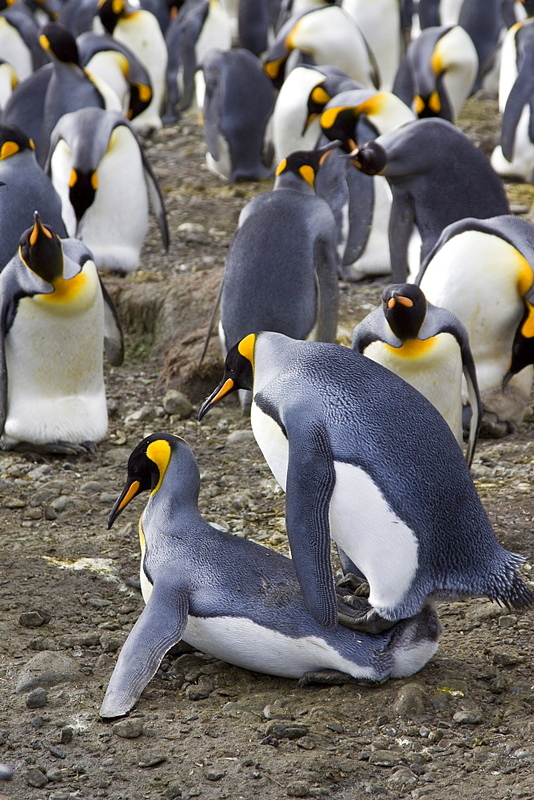 979-4232 - King Penguin (Aptenodytes patagonicus) breeding and nesting colonies on South Georgia Island, Southern Ocean. 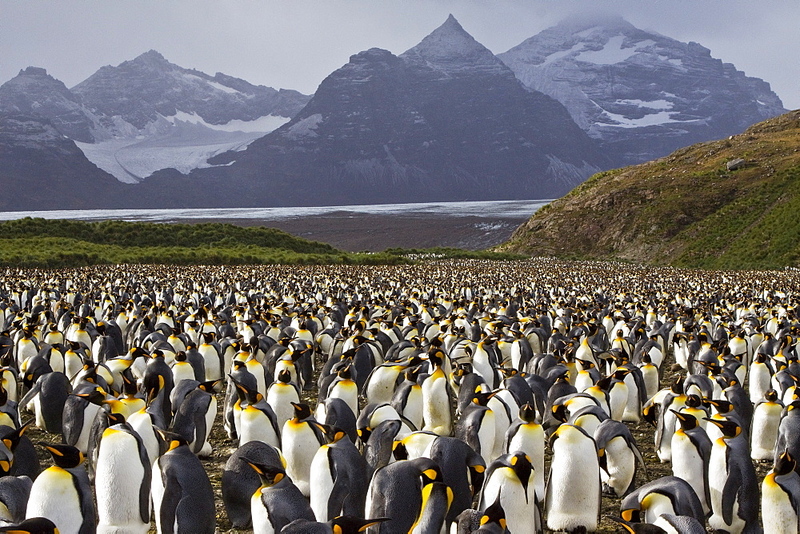 979-1435 - King Penguins (Aptenodytes patagonicus) nesting by the thousands on South Georgia Island, southern Atlantic Ocean. 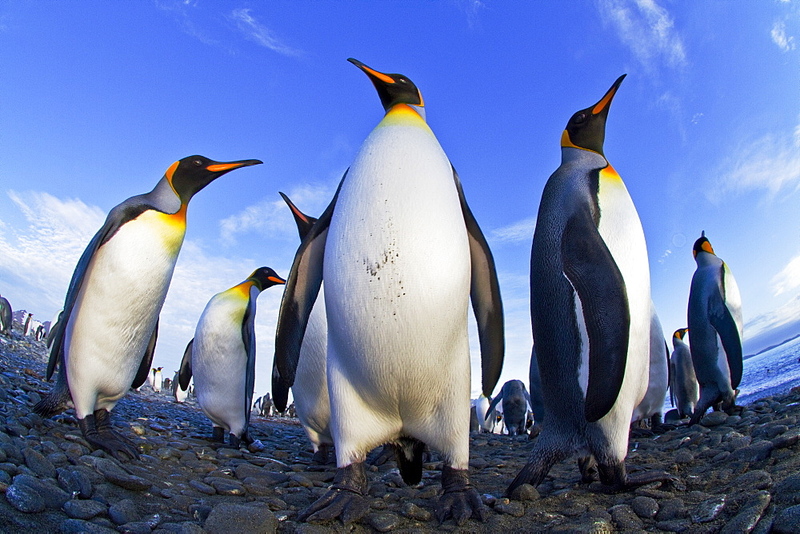 979-4221 - King Penguin (Aptenodytes patagonicus) breeding and nesting colonies on South Georgia Island, Southern Ocean. 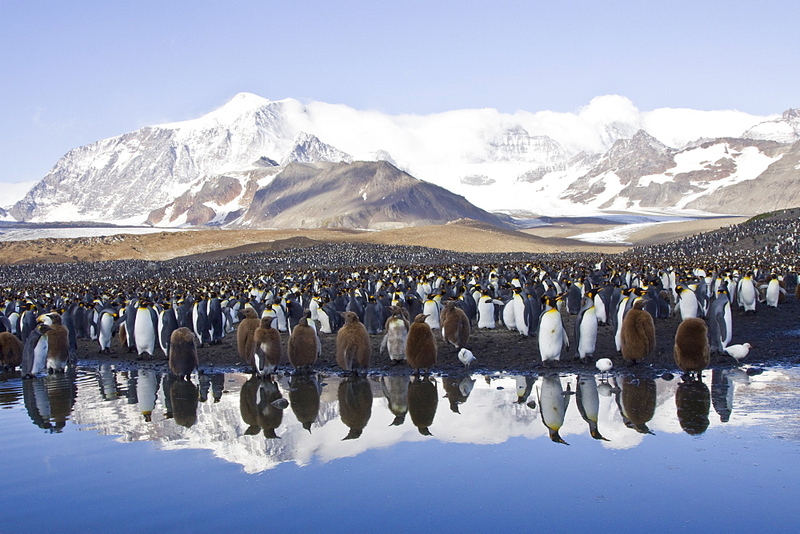 979-4251 - King penguins (Aptenodytes patagonicus) among breeding and nesting colonies of both gentoo and chinstrap penguins on Barrentos Island in the Aitcho Island Group, South Shetland Islands, Antarctica. 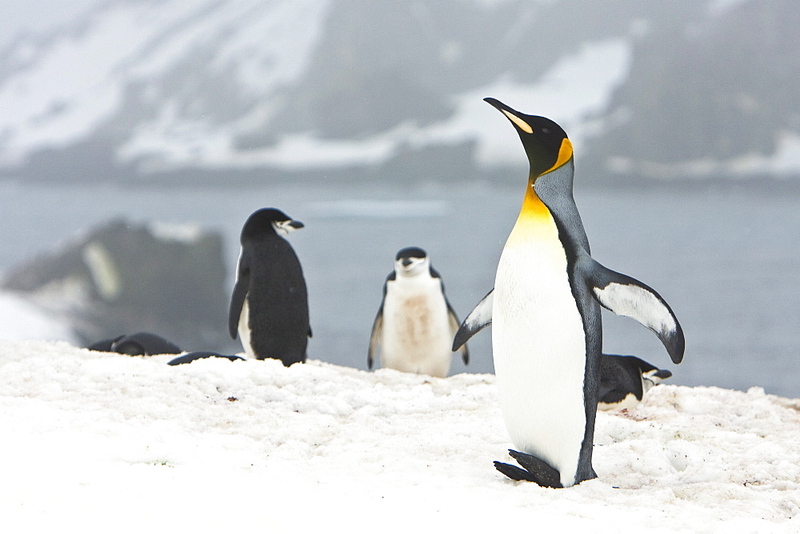 979-1471 - A very rare sighting of a lone adult king penguin (Aptenodytes patagonicus) among breeding and nesting colonies of both gentoo and chinstrap penguins on Barrentos Island in the Aitcho Island Group, South Shetland Islands, Antarctica. 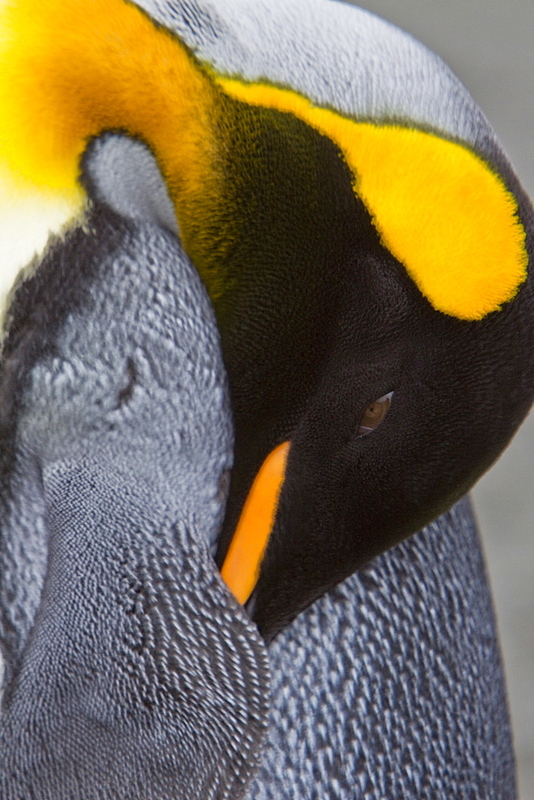 King penguins are rarely found below 60 degrees south, and almost never on the Antarctic Peninsula. This lone adult is most likely from the island of South Georgia, almost 900 miles away from where it is now. It most likely was out foraging and stopped here on Barrentos to rest. 979-9095 - King penguin (Aptenodytes patagonicus) breeding and nesting colony at Salisbury Plains, Bay of Isles on South Georgia Island, Southern Ocean. 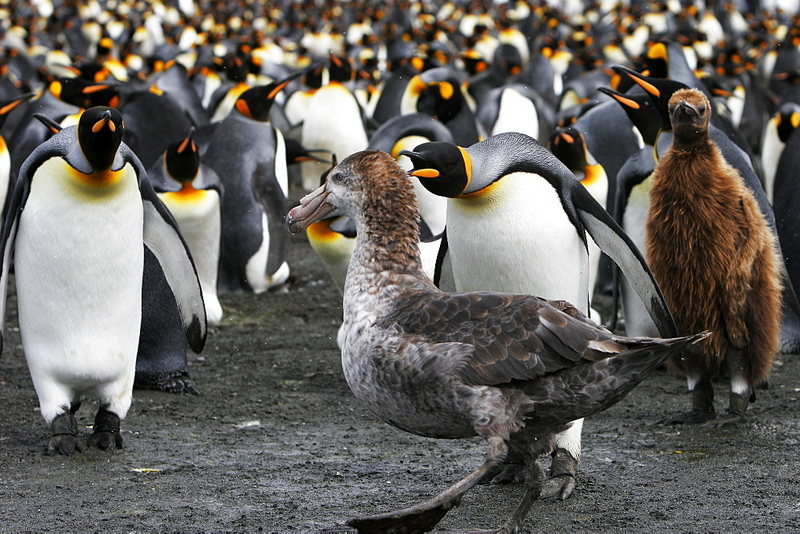 979-1429 - King Penguin colony (Aptenodytes patagonicus) guarding against a Southern Giant Petrel (Macronectes gigantes) on South Georgia Island, southern Atlantic Ocean. 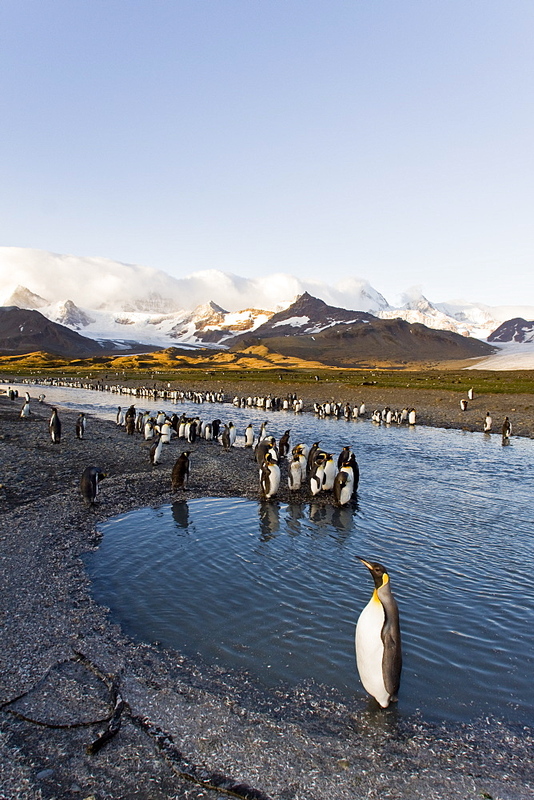 979-1469 - A very rare sighting of a lone adult king penguin (Aptenodytes patagonicus) among breeding and nesting colonies of both gentoo and chinstrap penguins on Barrentos Island in the Aitcho Island Group, South Shetland Islands, Antarctica. 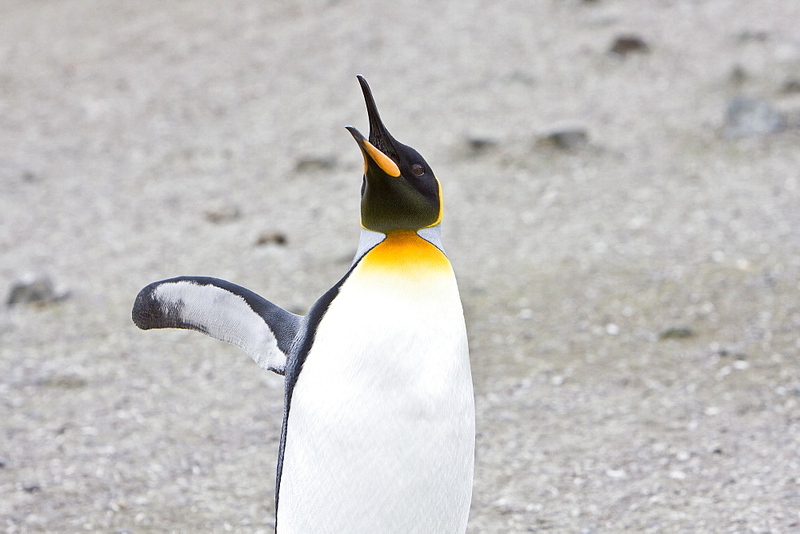 King penguins are rarely found below 60 degrees south, and almost never on the Antarctic Peninsula. This lone adult is most likely from the island of South Georgia, almost 900 miles away from where it is now. It most likely was out foraging and stopped here on Barrentos to rest. 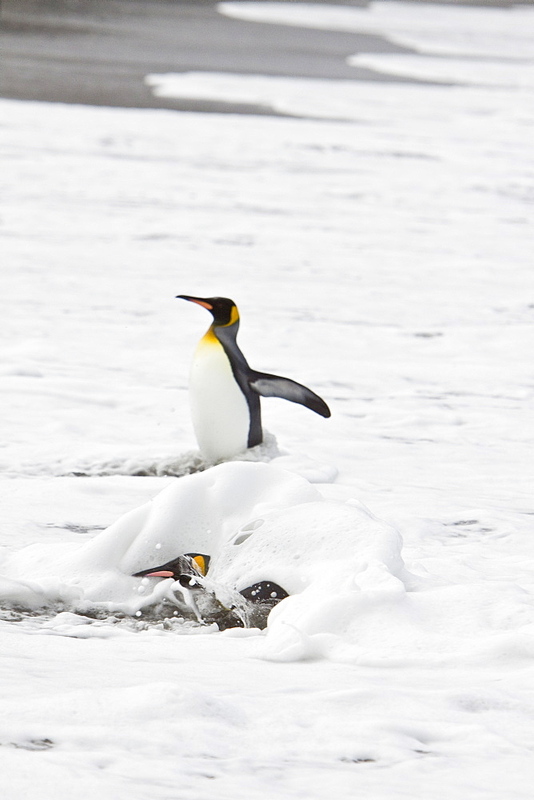 979-4254 - A very rare sighting of a lone adult king penguin (Aptenodytes patagonicus) among breeding and nesting colonies of both gentoo and chinstrap penguins on Barrentos Island in the Aitcho Island Group, South Shetland Islands, Antarctica. 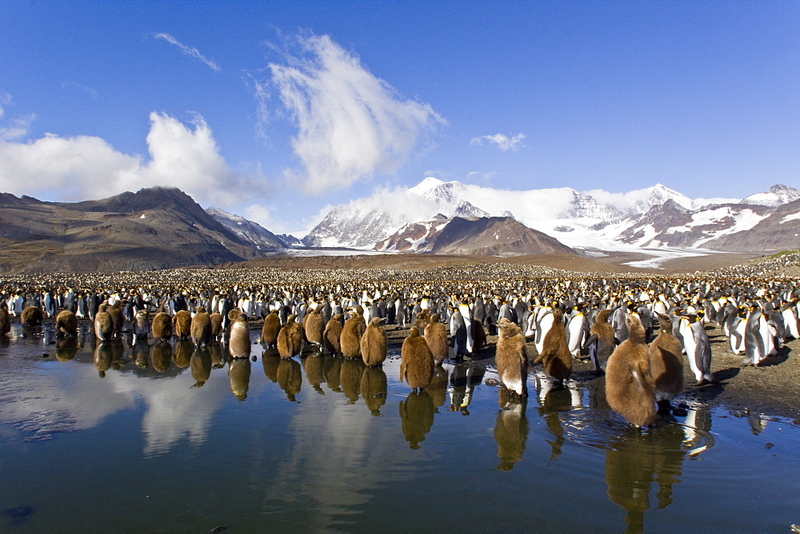 979-4239 - King Penguin (Aptenodytes patagonicus) breeding and nesting colonies on South Georgia Island, Southern Ocean. 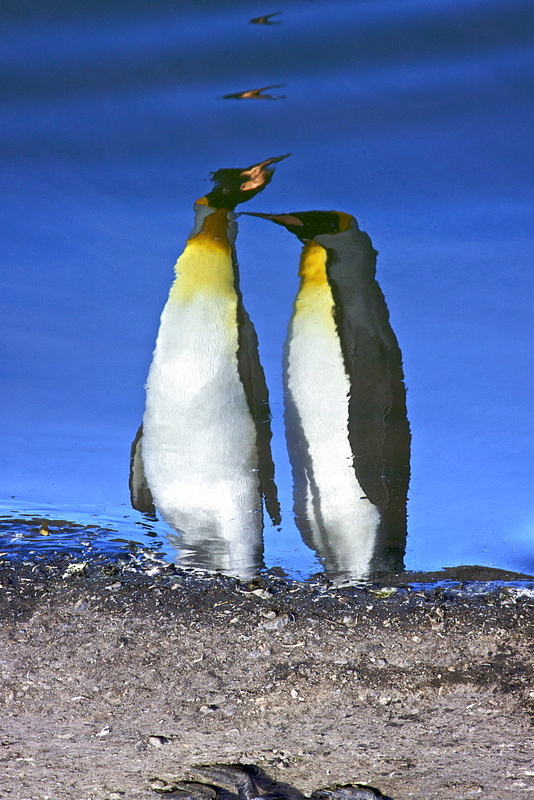 979-3897 - Reflected sunlight on king penguin (Aptenodytes patagonicus) breeding and nesting colonies on South Georgia Island, Southern Ocean. 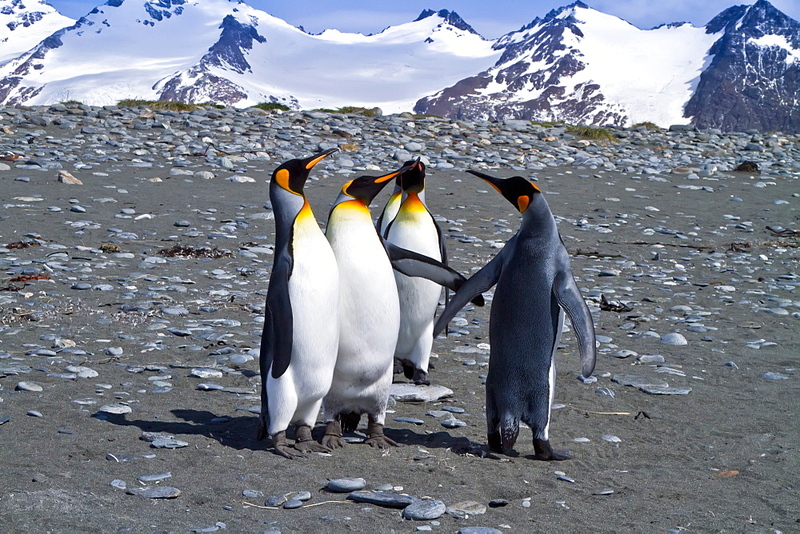 979-4224 - King Penguin (Aptenodytes patagonicus) breeding and nesting colonies on South Georgia Island, Southern Ocean. 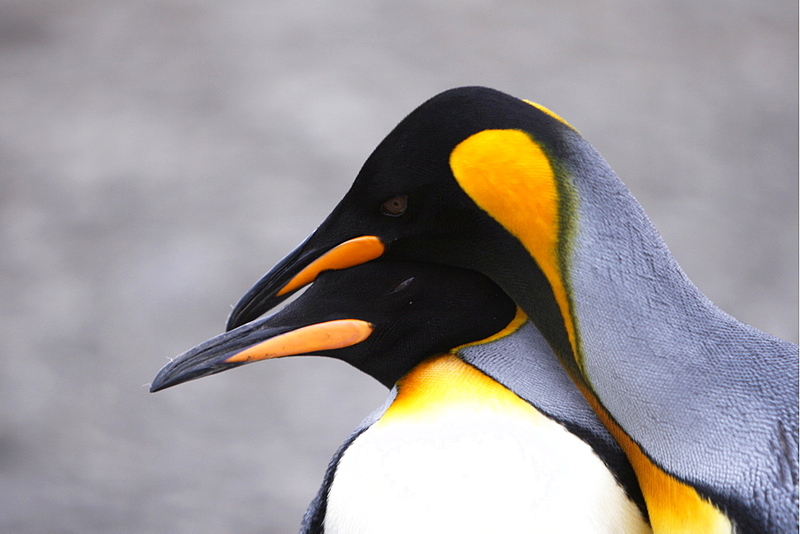 979-1434 - Adult king penguin (Aptenodytes patagonicus) head detail on South Georgia Island, southern Atlantic Ocean. 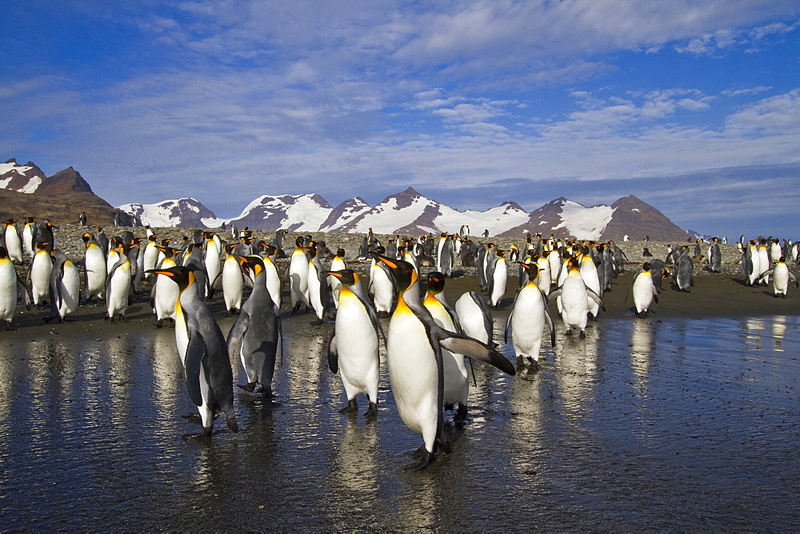 979-3879 - King Penguin (Aptenodytes patagonicus) breeding and nesting colonies on South Georgia Island, Southern Ocean. 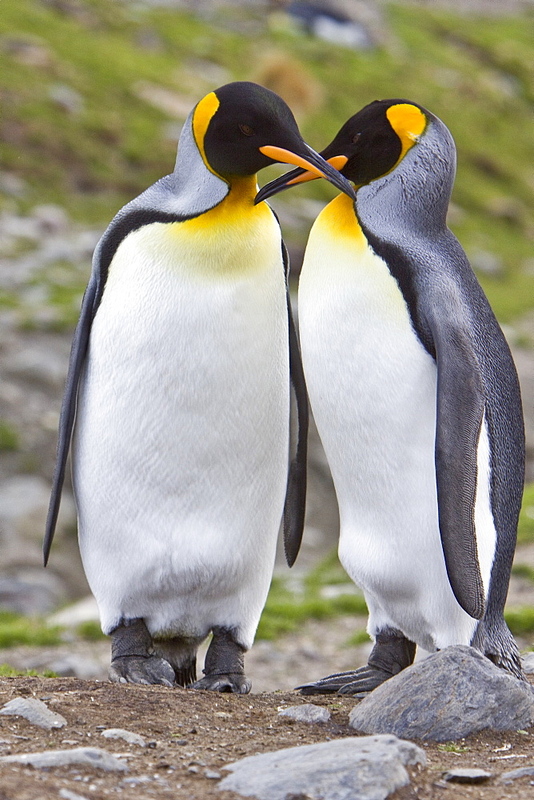 979-1457 - King penguin (Aptenodytes patagonicus) pair courtship in colony of nesting animals numbering between 70,000 and 100,000 nesting pairs on Salisbury Plain on South Georgia Island, South Atlantic Ocean. 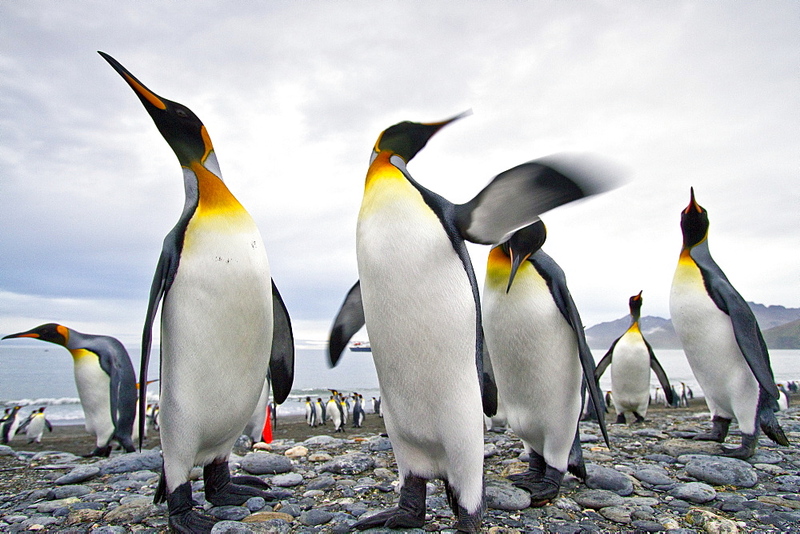 979-4209 - King Penguin (Aptenodytes patagonicus) breeding and nesting colonies on South Georgia Island, Southern Ocean. 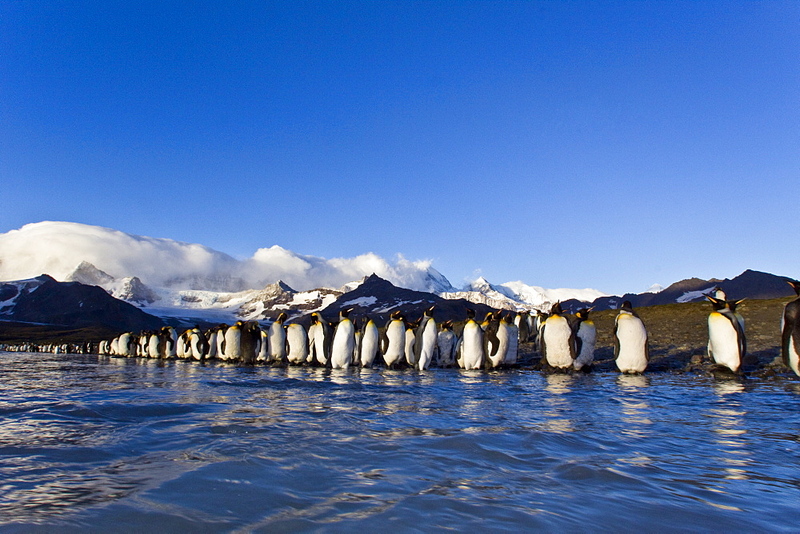 979-9418 - King penguin (Aptenodytes patagonicus) breeding and nesting colony at St. Andrews Bay on South Georgia, Southern Ocean. 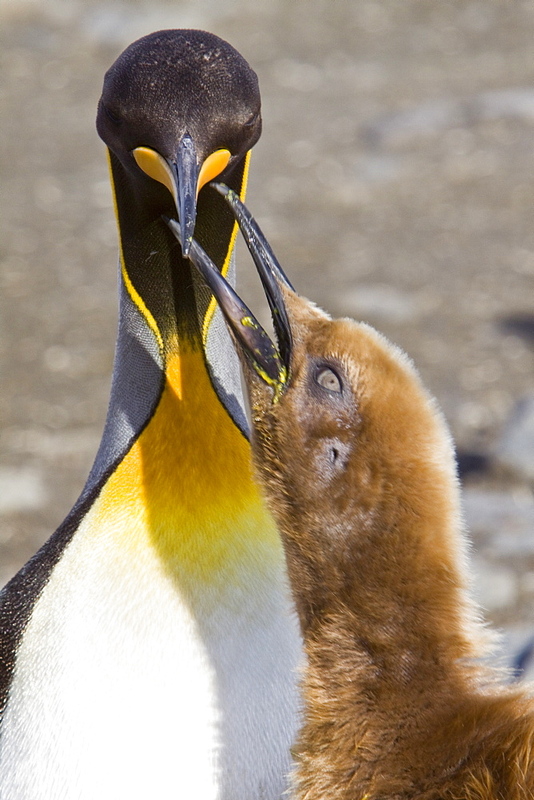 979-9231 - Adult king penguin (Aptenodytes patagonicus) in the act of feeding chick on South Georgia Island, Southern Ocean. 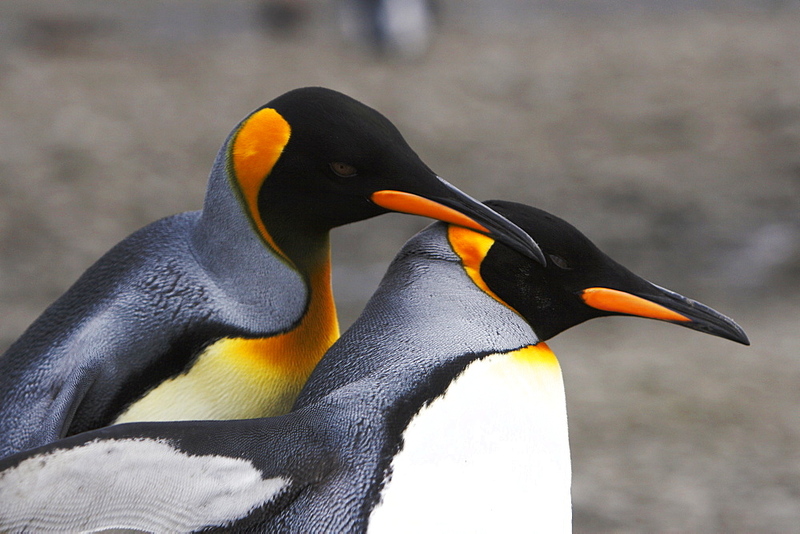 979-1459 - King penguin (Aptenodytes patagonicus) courtship in a colony of nesting animals numbering between 70,000 and 100,000 nesting pairs on Salisbury Plain on South Georgia Island, South Atlantic Ocean. 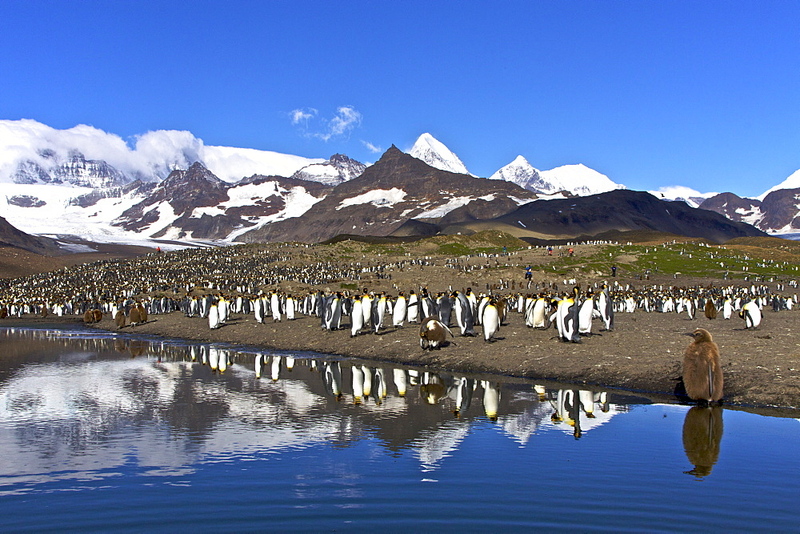 979-3895 - Reflected sunlight on king penguin (Aptenodytes patagonicus) breeding and nesting colonies on South Georgia Island, Southern Ocean. 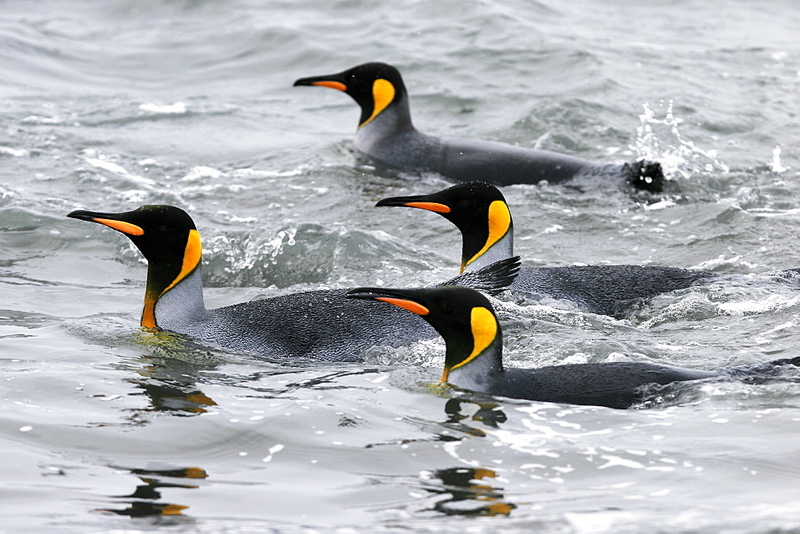 979-1445 - Adult king penguins (Aptenodytes patagonicus) swimming in the clear waters of Right Whale Bay on South Georgia Island, South Atlantic Ocean. 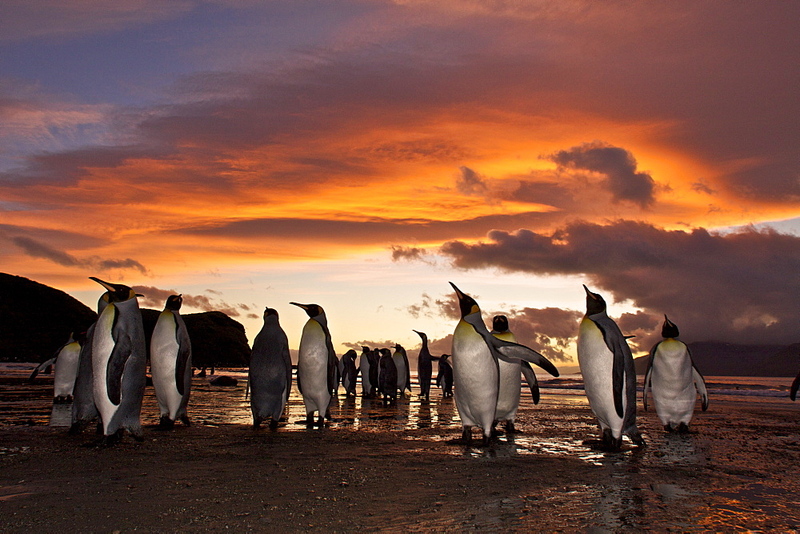 979-3860 - Sunrise on the king penguin (Aptenodytes patagonicus) breeding and nesting colonies at St. Andrews Bay on South Georgia Island, Southern Ocean. 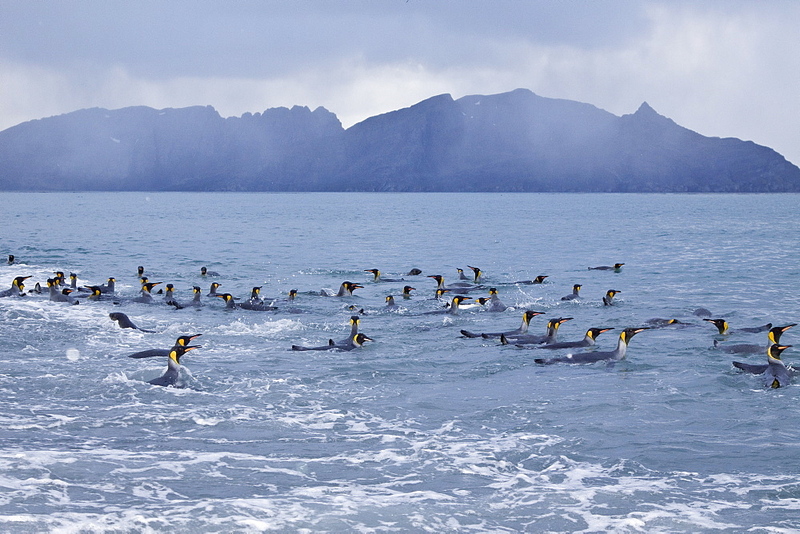 979-1447 - Adult king penguins (Aptenodytes patagonicus) swimming in the clear waters of Right Whale Bay on South Georgia Island, South Atlantic Ocean. 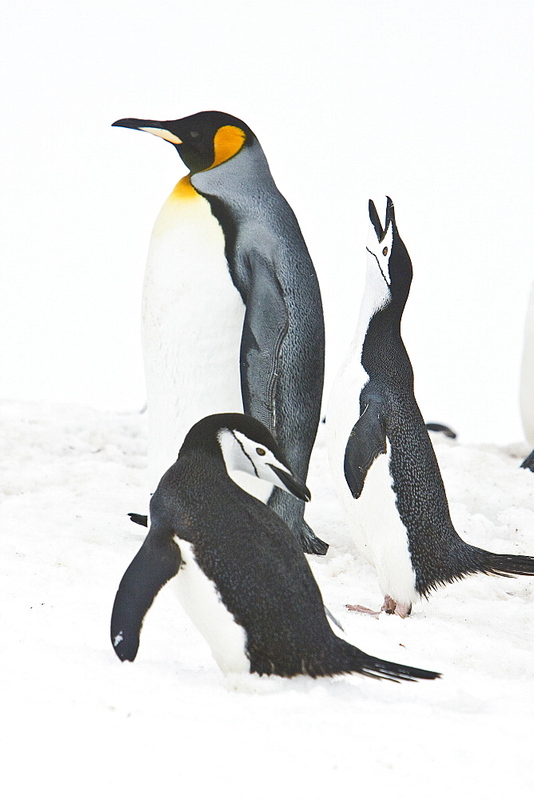 979-4249 - A very rare sighting of a lone adult king penguin (Aptenodytes patagonicus) among breeding and nesting colonies of both gentoo and chinstrap penguins on Barrentos Island in the Aitcho Island Group, South Shetland Islands, Antarctica. 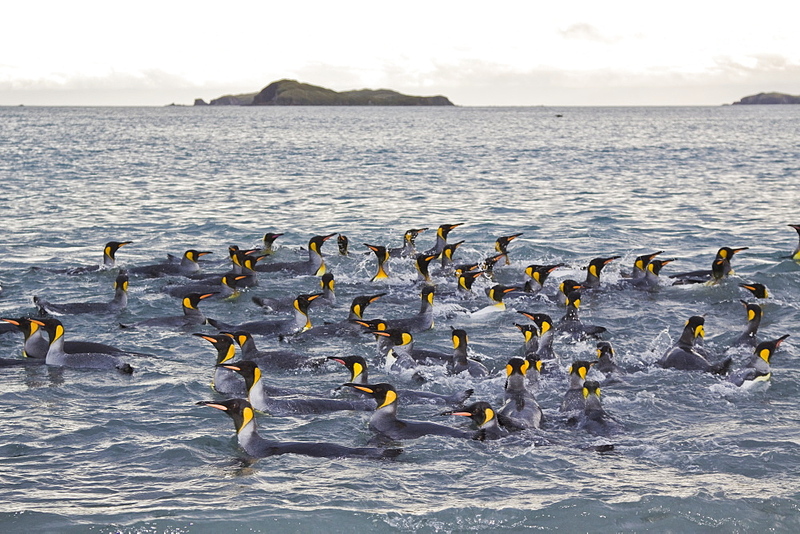 979-9370 - King penguin (Aptenodytes patagonicus) breeding and nesting colony at Salisbury Plains in the Bay of Isles, South Georgia, Southern Ocean. 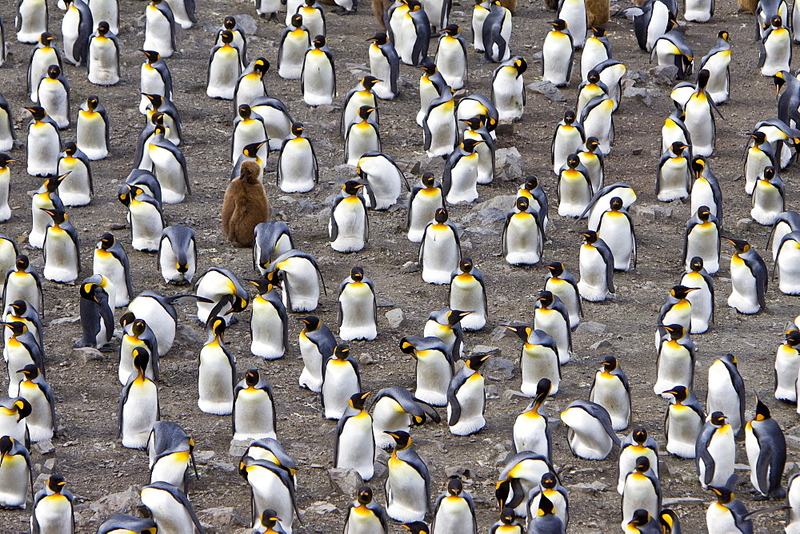 979-3881 - King Penguin (Aptenodytes patagonicus) breeding and nesting colonies on South Georgia Island, Southern Ocean. 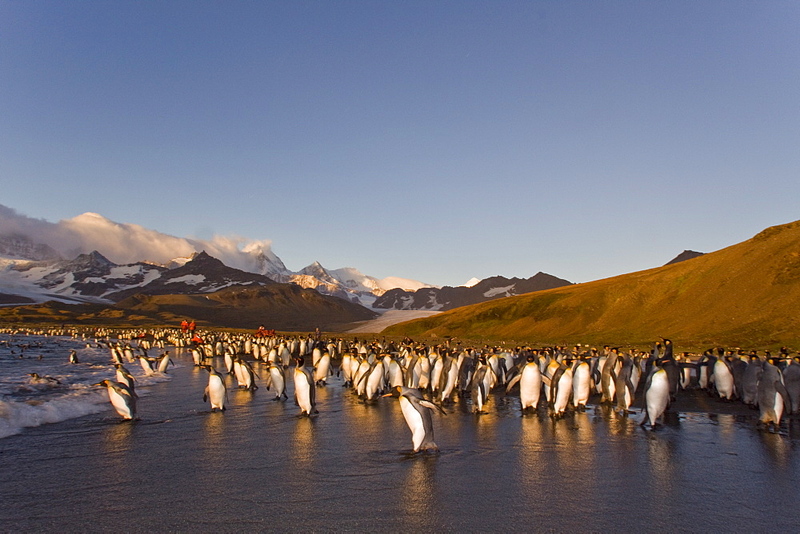 979-3866 - Sunrise on the king penguin (Aptenodytes patagonicus) breeding and nesting colonies at St. Andrews Bay on South Georgia Island, Southern Ocean. 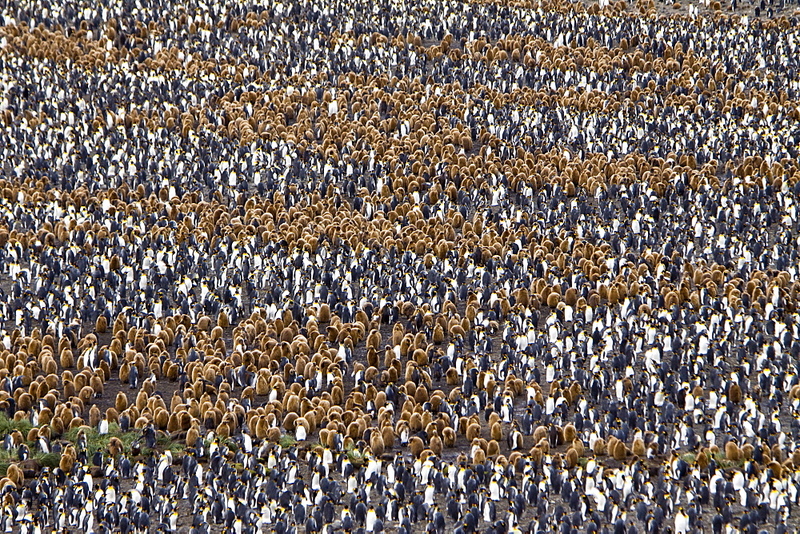 979-4210 - King Penguin (Aptenodytes patagonicus) breeding and nesting colonies on South Georgia Island, Southern Ocean. 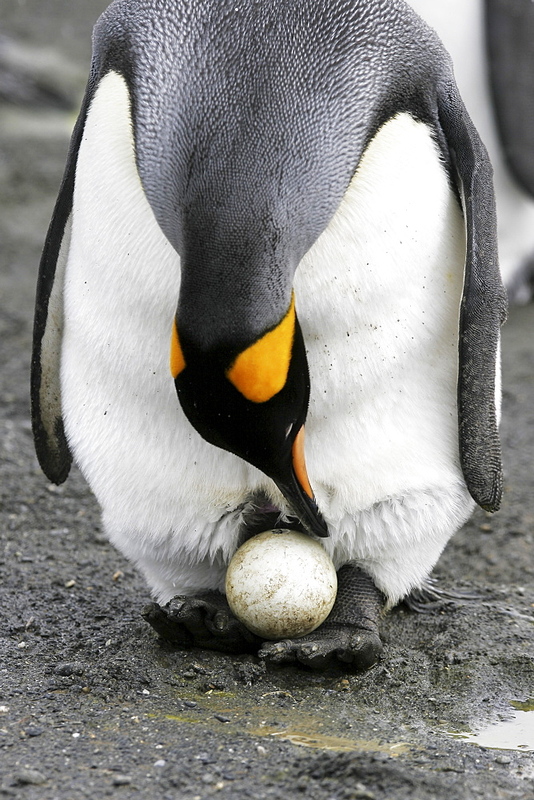 979-1438 - King Penguin (Aptenodytes patagonicus) parent balancing egg on feet to keep it off the cold beach on South Georgia Island, southern Atlantic Ocean. 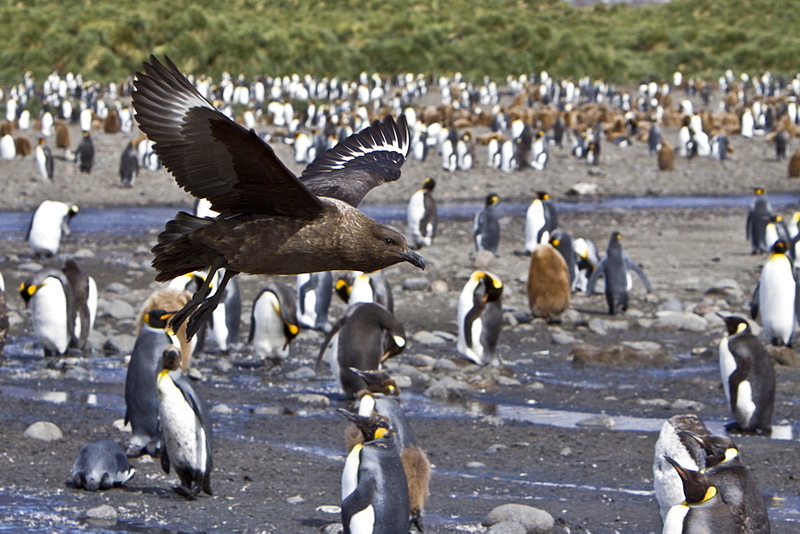 979-4293 - An adult Brown Skua (Catharacta antarctica) in flight over king penguins on South Georgia Island in the Southern Ocean. This skua is often referred to as Antarctic Skua (or vice versa); the taxonomy of Skuas is still a matter of dispute. Other names (probably owing to the high level of hybridization in this species) include Southern Great Skua, Southern Skua or Subantarctic Skua. 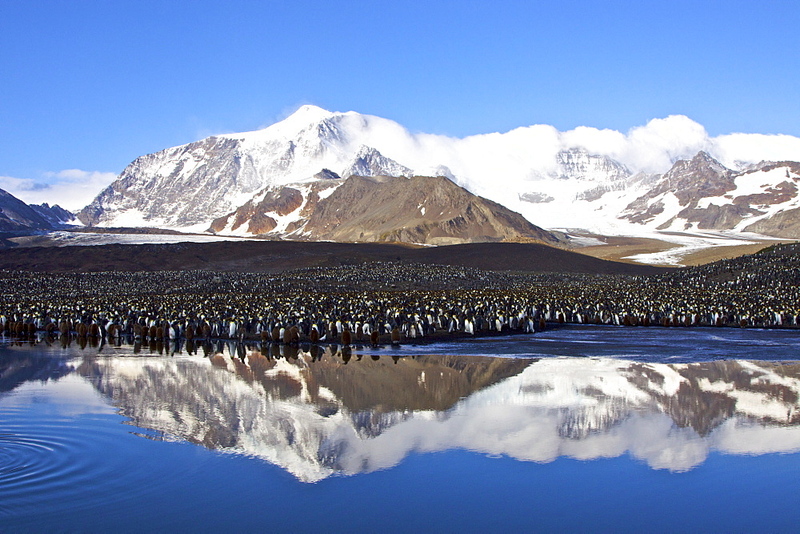 979-3896 - Reflected sunlight on king penguin (Aptenodytes patagonicus) breeding and nesting colonies on South Georgia Island, Southern Ocean. 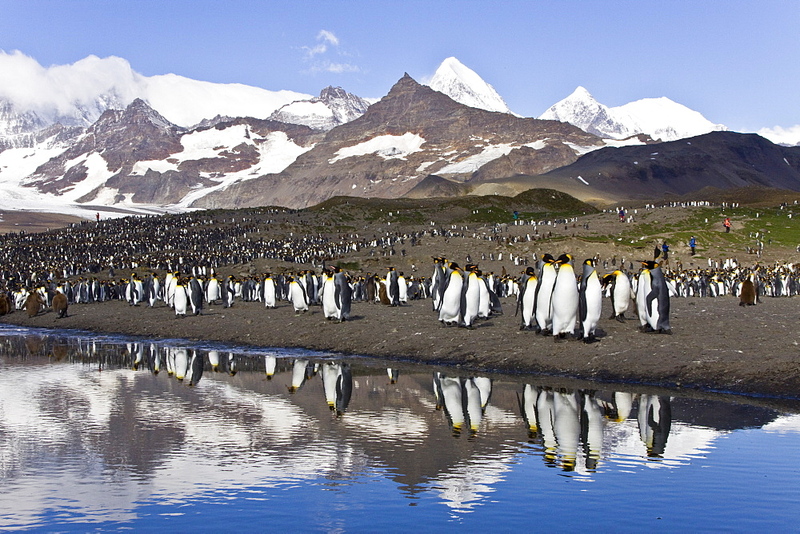 979-1479 - A very rare sighting of a lone adult king penguin (Aptenodytes patagonicus) among breeding and nesting colonies of both gentoo and chinstrap penguins on Barrentos Island in the Aitcho Island Group, South Shetland Islands, Antarctica. 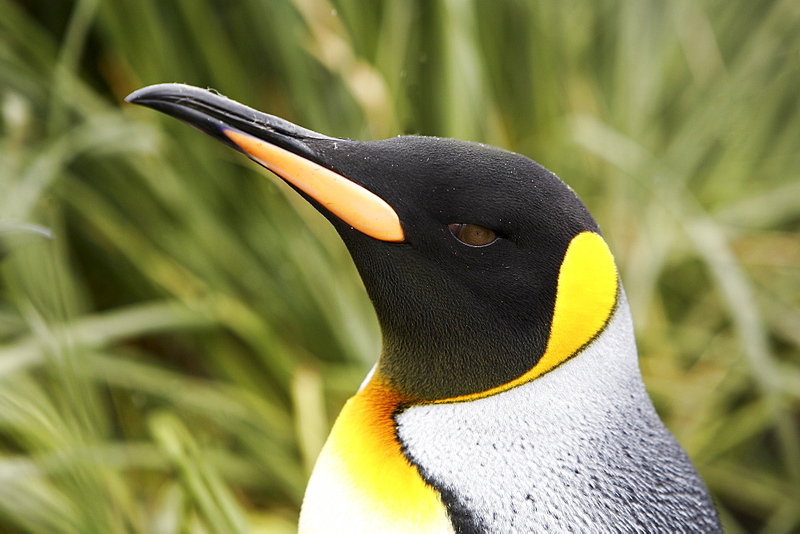 King penguins are rarely found below 60 degrees south, and almost never on the Antarctic Peninsula. This lone adult is most likely from the island of South Georgia, almost 900 miles away from where it is now. It most likely was out foraging and stopped here on Barrentos to rest. 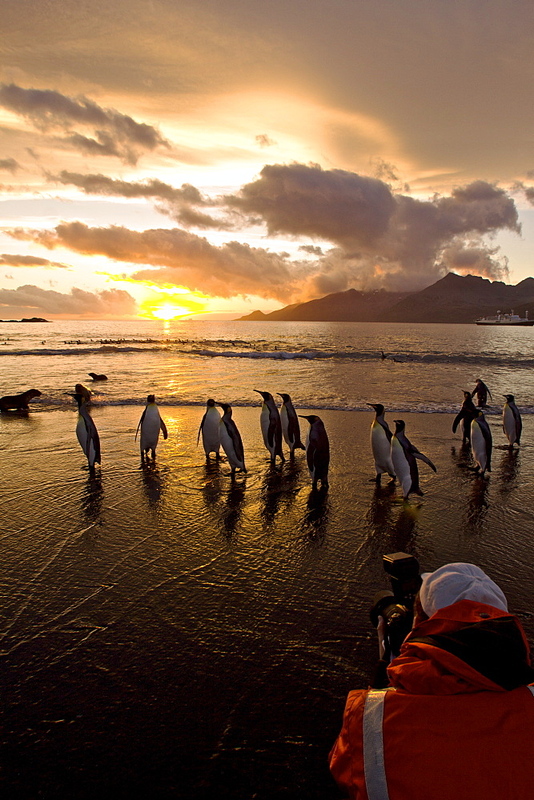 979-3857 - Sunrise on the king penguin (Aptenodytes patagonicus) breeding and nesting colonies at St. Andrews Bay on South Georgia Island, Southern Ocean. 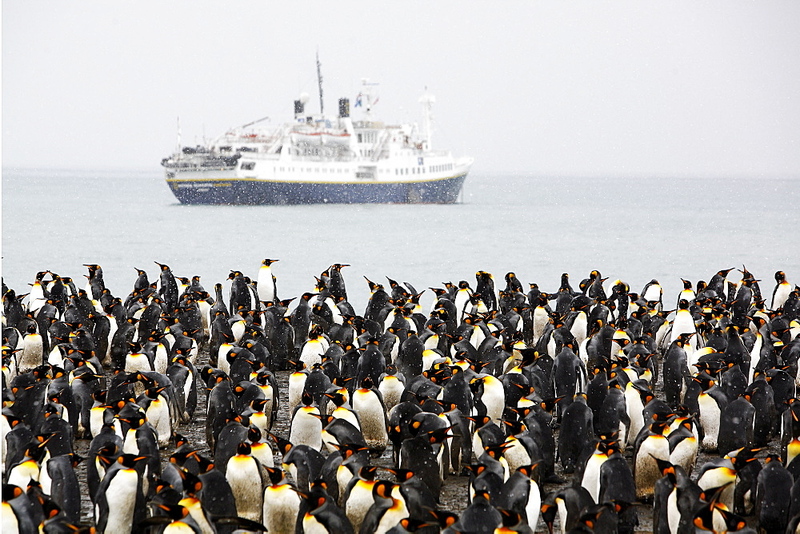 979-1421 - King Penguin (Aptenodytes patagonicus) colony and the m/v Endeavour on South Georgia Island, southern Atlantic Ocean. 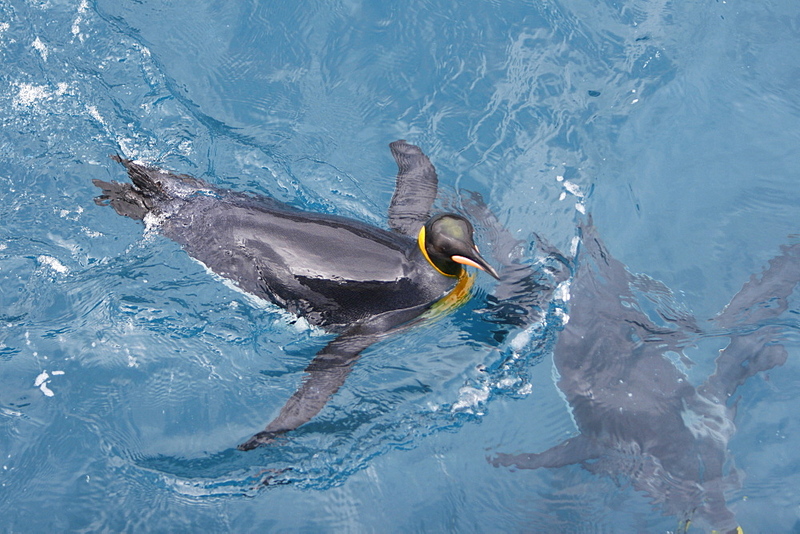 979-9371 - King penguin (Aptenodytes patagonicus) breeding and nesting colony at Salisbury Plains in the Bay of Isles, South Georgia, Southern Ocean. 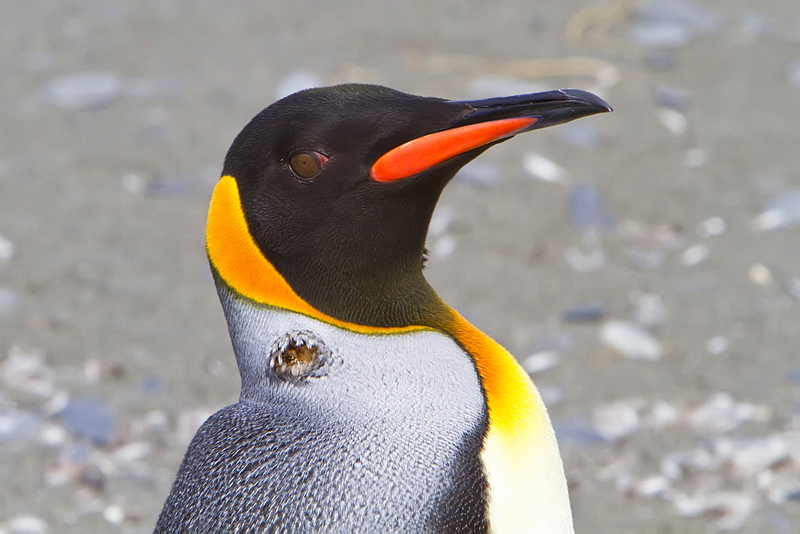 979-9094 - Avian pox outbreak at the king penguin (Aptenodytes patagonicus) breeding and nesting colony at Salisbury Plains, Bay of Isles on South Georgia Island, Southern Ocean. 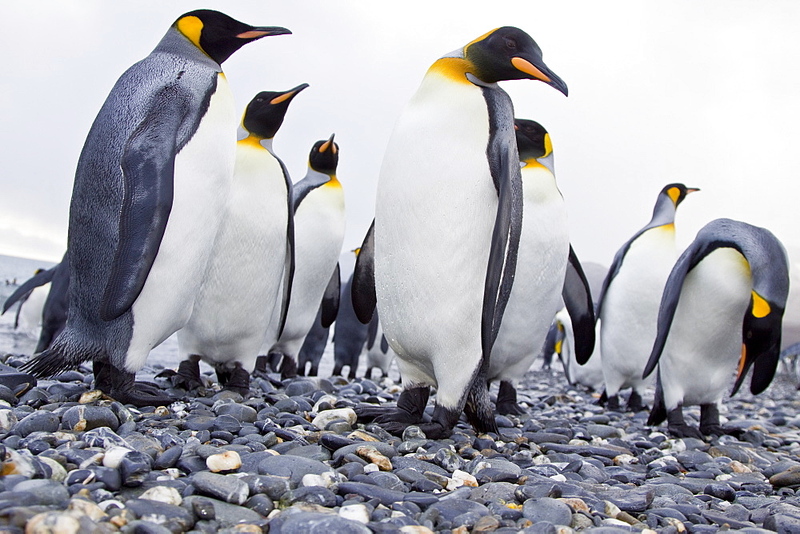 979-4231 - King Penguin (Aptenodytes patagonicus) breeding and nesting colonies on South Georgia Island, Southern Ocean. 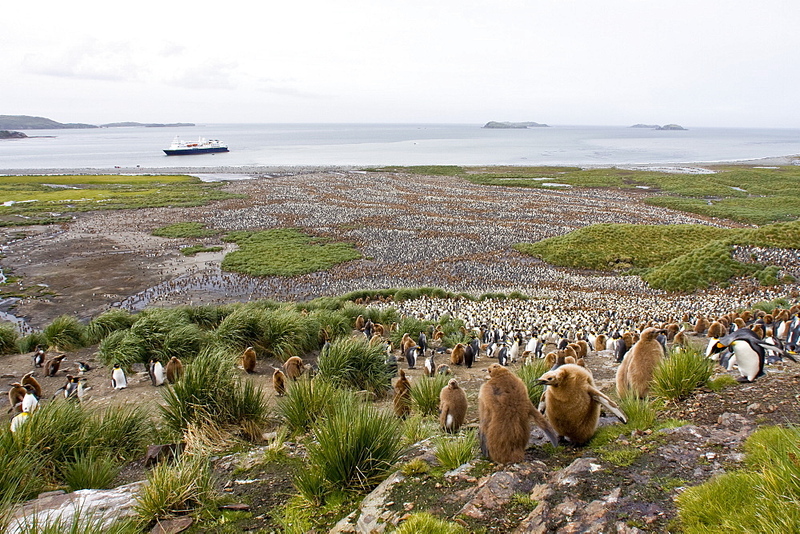 979-4205 - King Penguin (Aptenodytes patagonicus) breeding and nesting colonies on South Georgia Island, Southern Ocean. 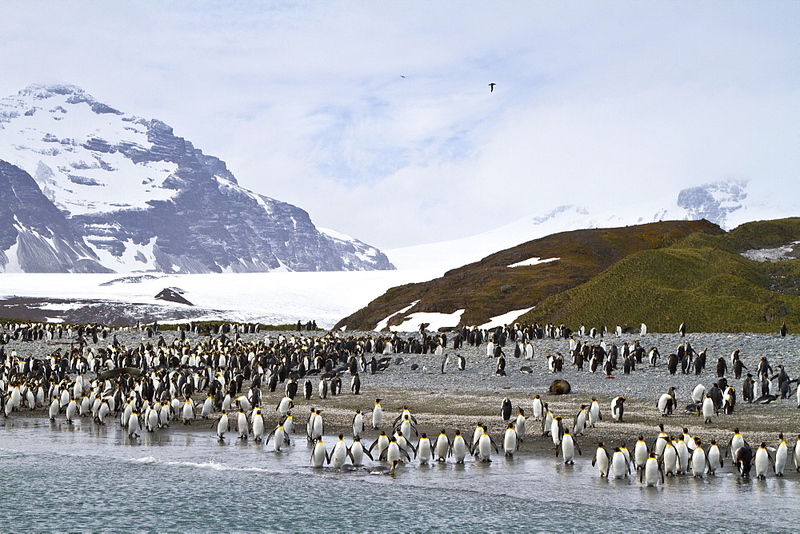 979-3833 - King Penguin (Aptenodytes patagonicus) breeding and nesting colonies on South Georgia Island, Southern Ocean. 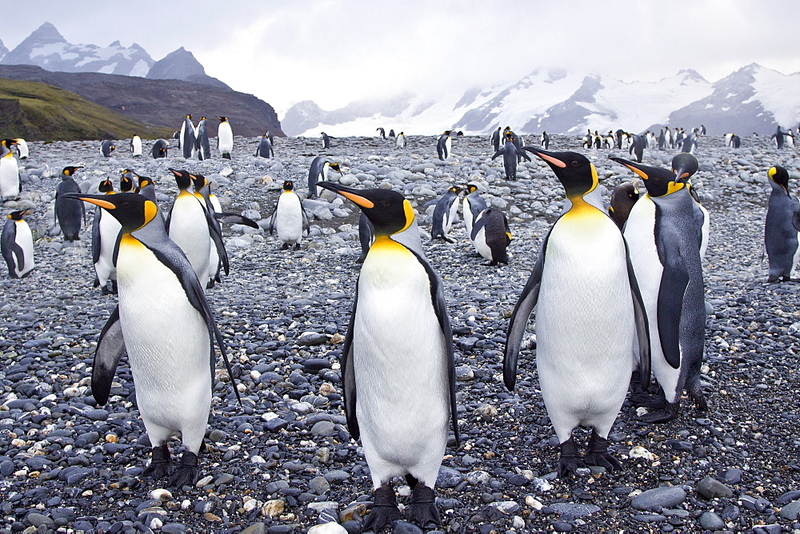 979-3875 - King Penguin (Aptenodytes patagonicus) breeding and nesting colonies on South Georgia Island, Southern Ocean. 979-9099 - King penguin (Aptenodytes patagonicus) breeding and nesting colony at Salisbury Plains, Bay of Isles on South Georgia Island, Southern Ocean. 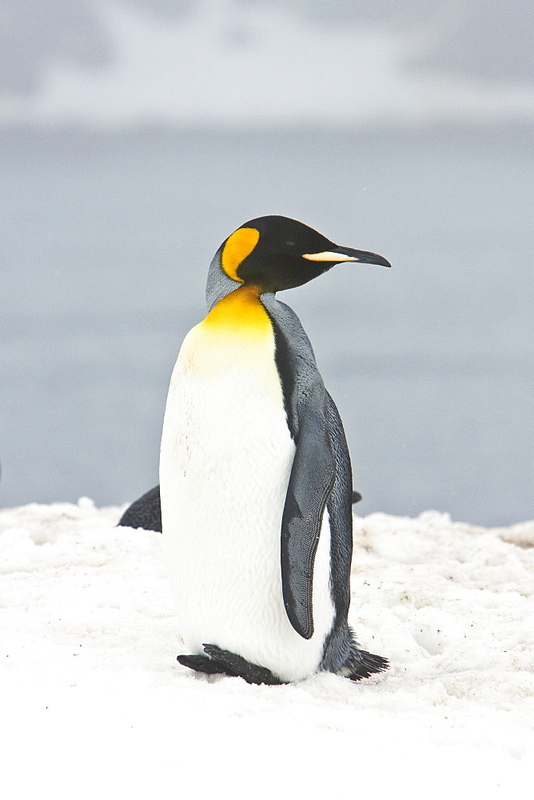 979-4253 - A very rare sighting of a lone adult king penguin (Aptenodytes patagonicus) among breeding and nesting colonies of both gentoo and chinstrap penguins on Barrentos Island in the Aitcho Island Group, South Shetland Islands, Antarctica. 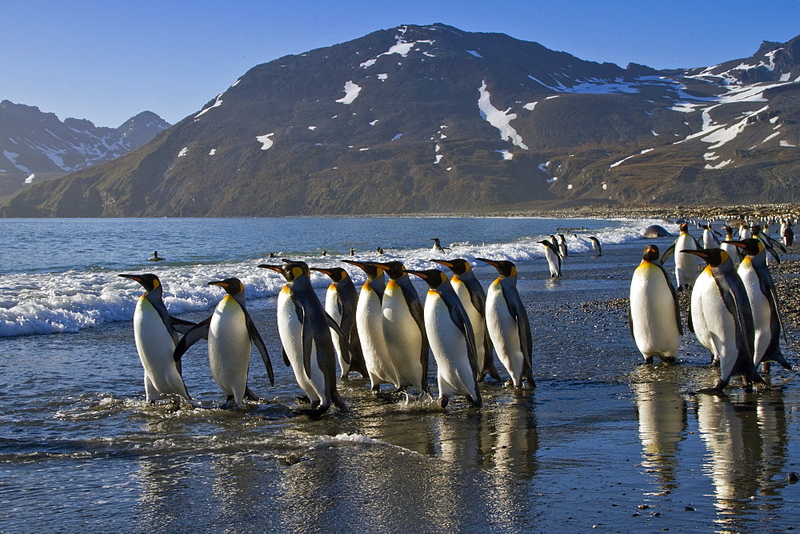 979-9375 - King penguins (Aptenodytes patagonicus) on the beach at breeding and nesting colony at Salisbury Plains in the Bay of Isles, South Georgia, Southern Ocean. 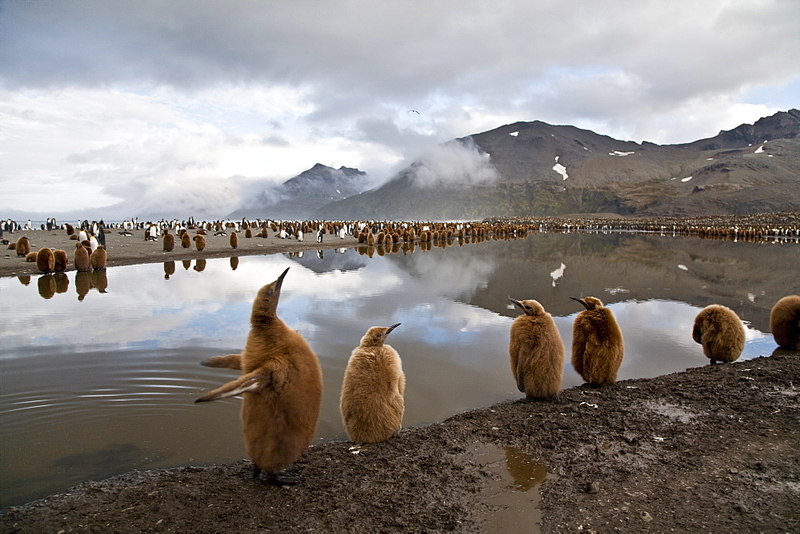 979-3894 - Reflected sunlight on king penguin (Aptenodytes patagonicus) breeding and nesting colonies on South Georgia Island, Southern Ocean. 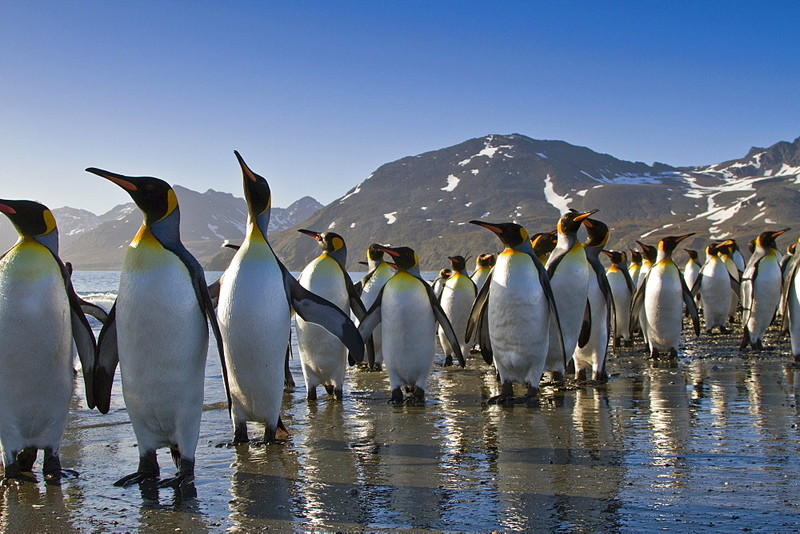 979-9221 - King penguin (Aptenodytes patagonicus) breeding and nesting colony on South Georgia Island, Southern Ocean. 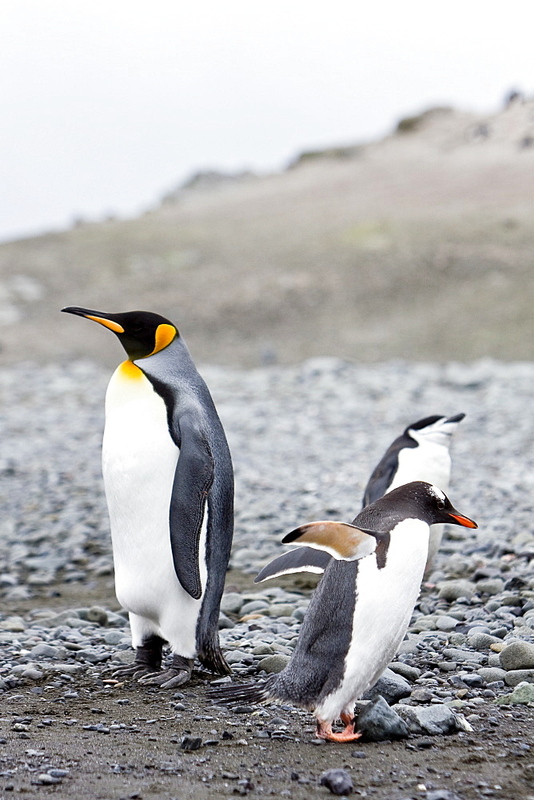 979-3826 - King Penguin (Aptenodytes patagonicus) breeding and nesting colonies on South Georgia Island, Southern Ocean. 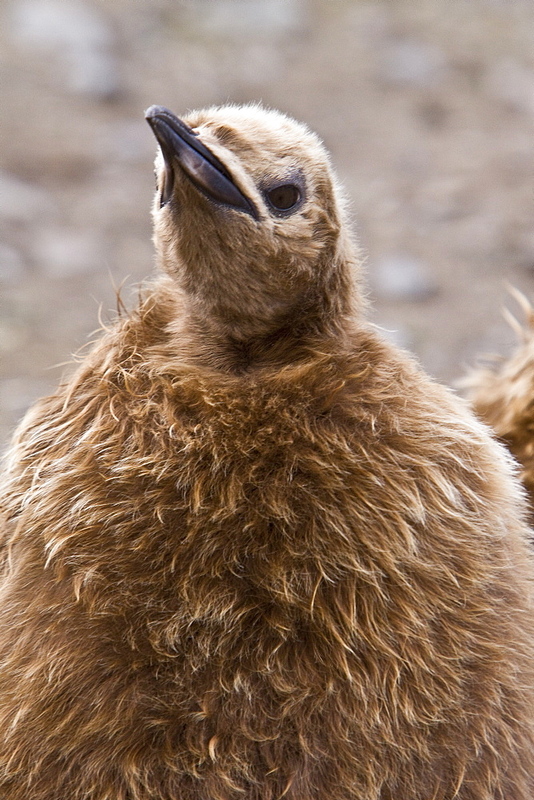 979-1422 - Juvenile King Penguin (Aptenodytes patagonicus) in colony on South Georgia Island, southern Atlantic Ocean. 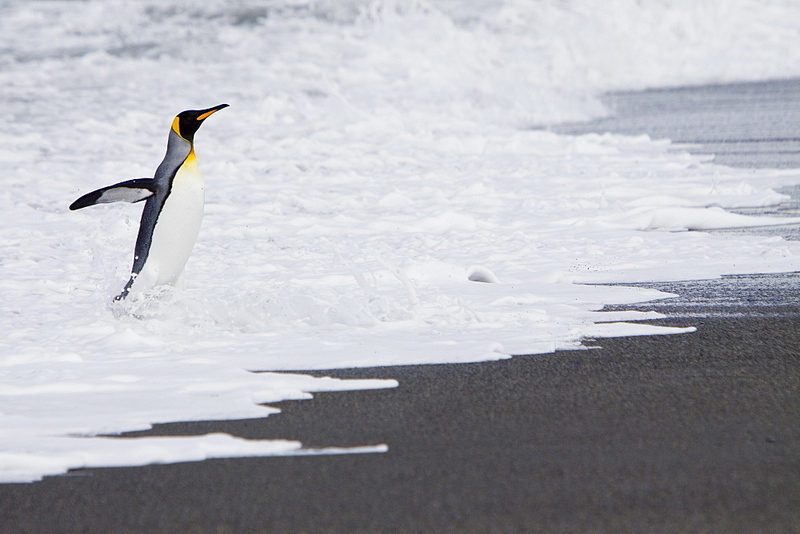 979-1461 - Curious King penguin (Aptenodytes patagonicus) approaches the camera on the beach at Prion Island in the Bay of Isles on South Georgia Island, South Atlantic Ocean. 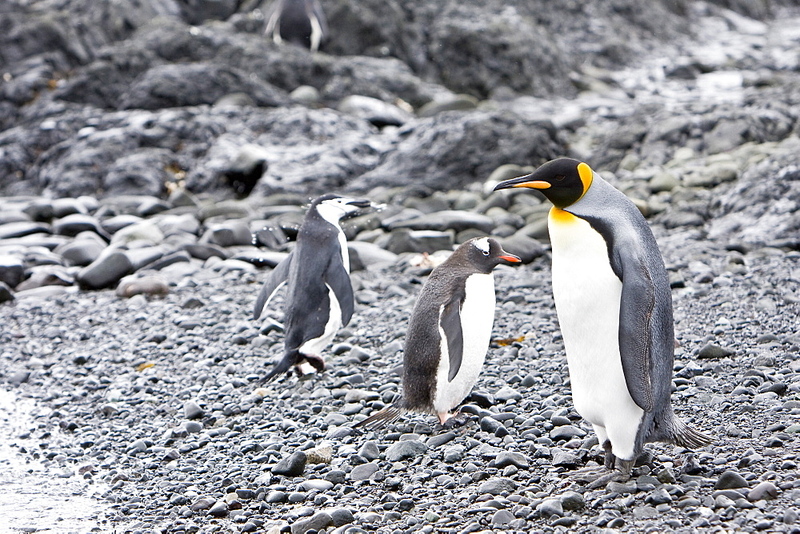 979-1428 - King Penguins (Aptenodytes patagonicus) with chick &#34;okum boy&#34; on South Georgia Island, southern Atlantic Ocean.